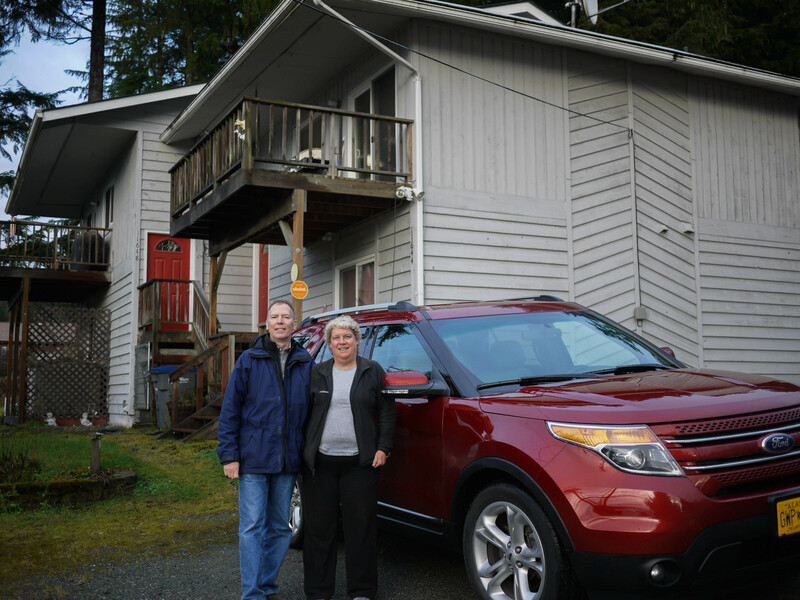 We took the car to Bellingham on Friday to load it on the ferry for the trip home. We spent the night there and got up really early Saturday morning to drive to the Seattle airport so we could go home. 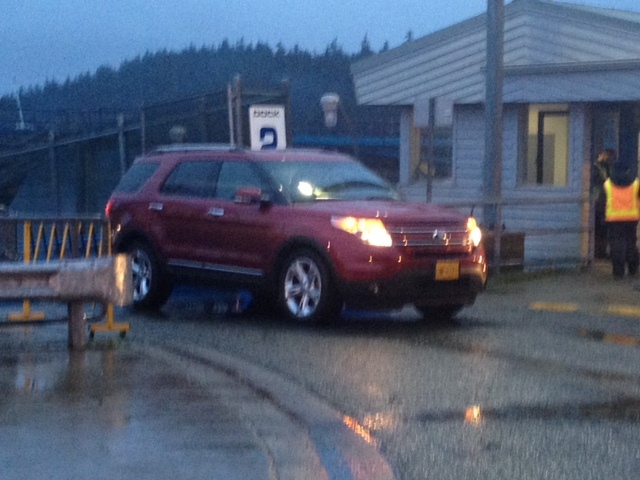 All the traveling went well and Monday morning we went to the ferry terminal in Juneau and picked up the car. 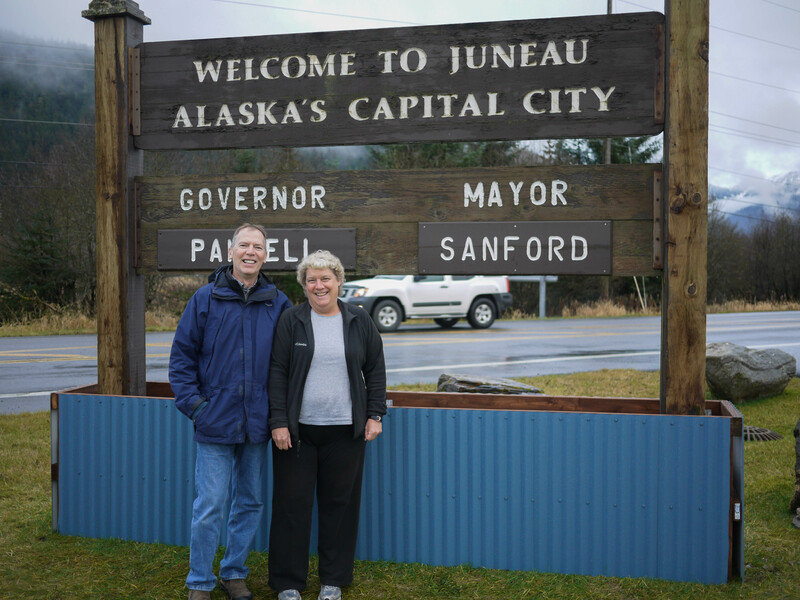 Now we’re all home safe and sound in dreary, rainy Juneau dreaming up our next adventure. Thanks to all of you for making this trip a ‘dream come true’. To those of you who opened your lives and your homes to us, we could never have done it without you. 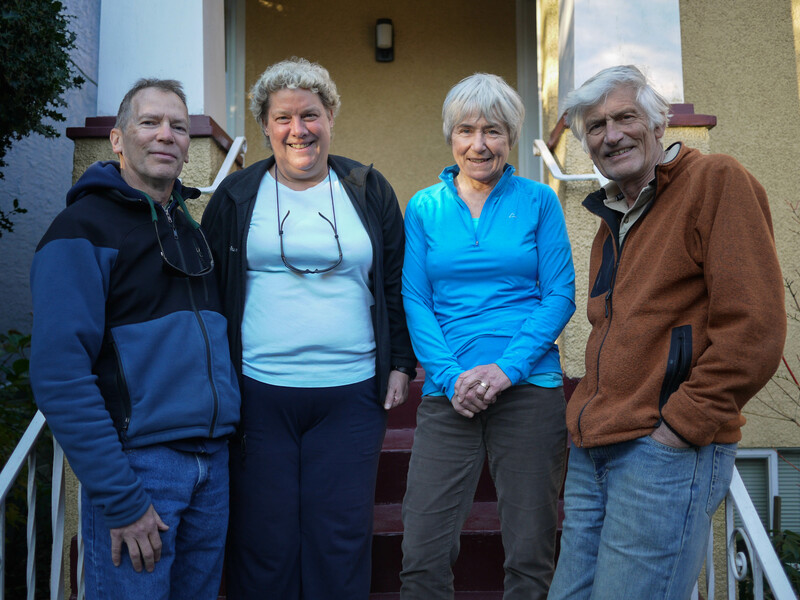 Visiting friends and family along the way was the most fun and rewarding part of the trip. We were the recipients of the most amazing hospitality conceivable. We can’t ever imagine being able to repay all the kindness we received, but we’ll certainly try. 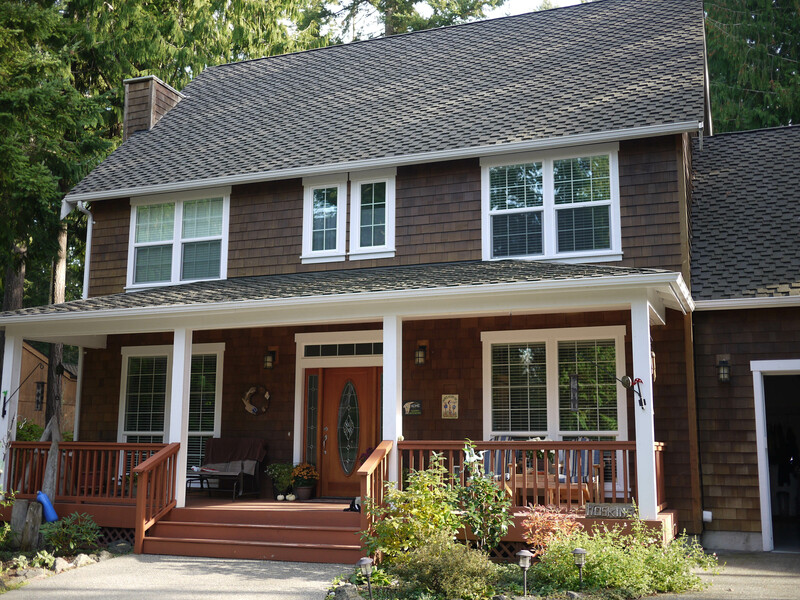 Anytime you’re in the area, you’re always welcome in our home. For those of you who followed this blog and sent encouraging comments, thanks for keeping me motivated. It would have been easy for me to give up if I hadn’t known that you were taking the time to see what we were up to. I really enjoyed writing about our adventures and it will give us a great record both in writing and pictures of our big road trip. So for now, take care, be well and keep in touch. We hope to see you all again soon! 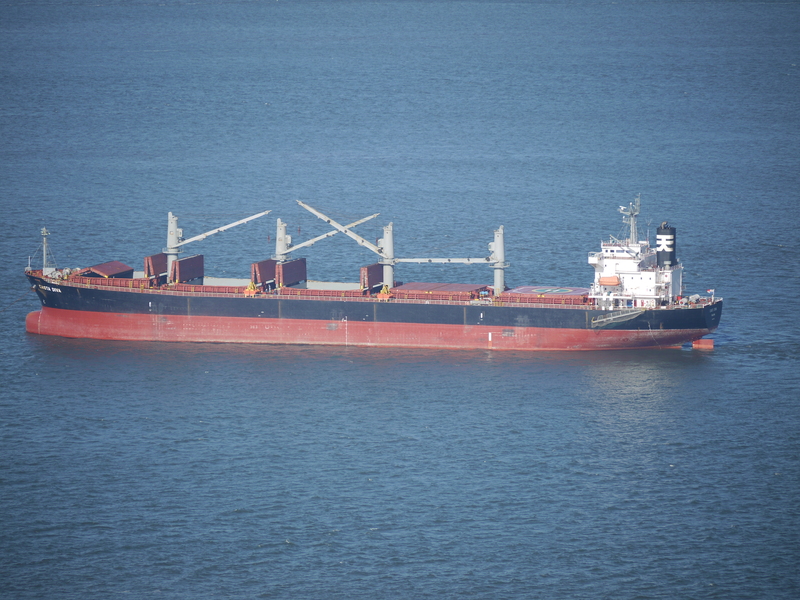 We caught the ferry in Victoria on Monday morning and had an easy crossing of the Straits of Juan de Fuca. 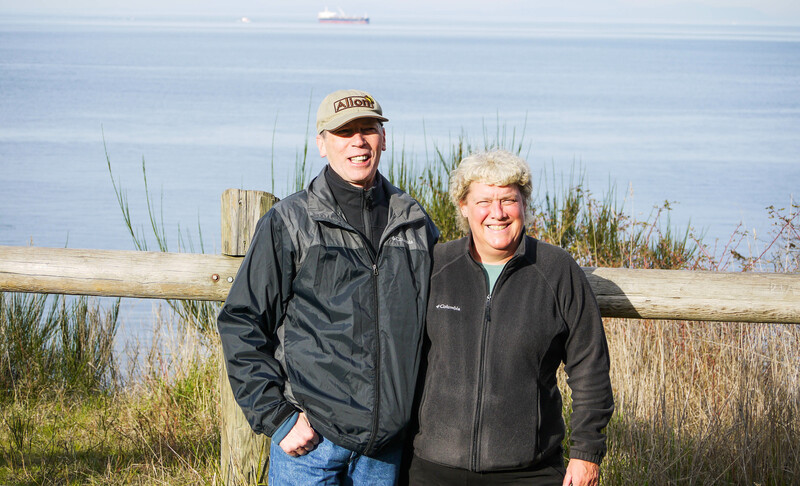 We arrived in Port Angeles just after noon and met up with friends Steven and Cindy Schlaffman for lunch. After lunch they took us to the Olympic National Park and the Elwah Valley. The Park Service has recently removed two dams from the Elwah River in a very controversial move to restore the Elwah River watershed. It was an interesting drive. 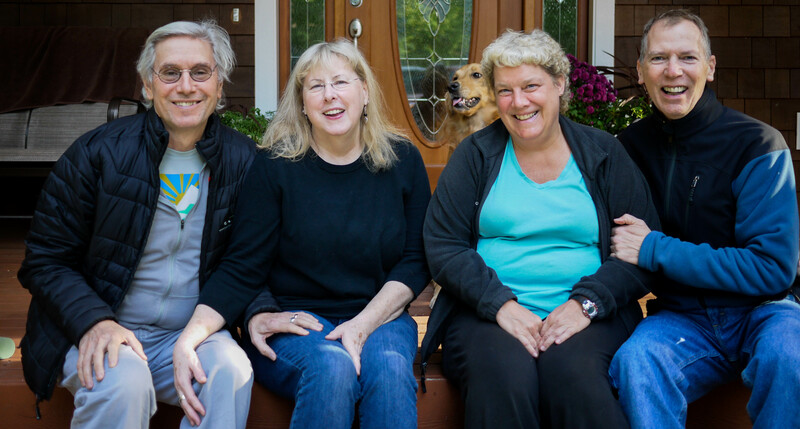 After we returned from the park and said our goodbyes to the Schlaffmans, we drove on to our friends Michael and Kendra Hoskins house in Port Townsend. We had a lovely evening chatting and catching up. Tuesday we had a relaxing morning and then went to town for lunch at The Cup. 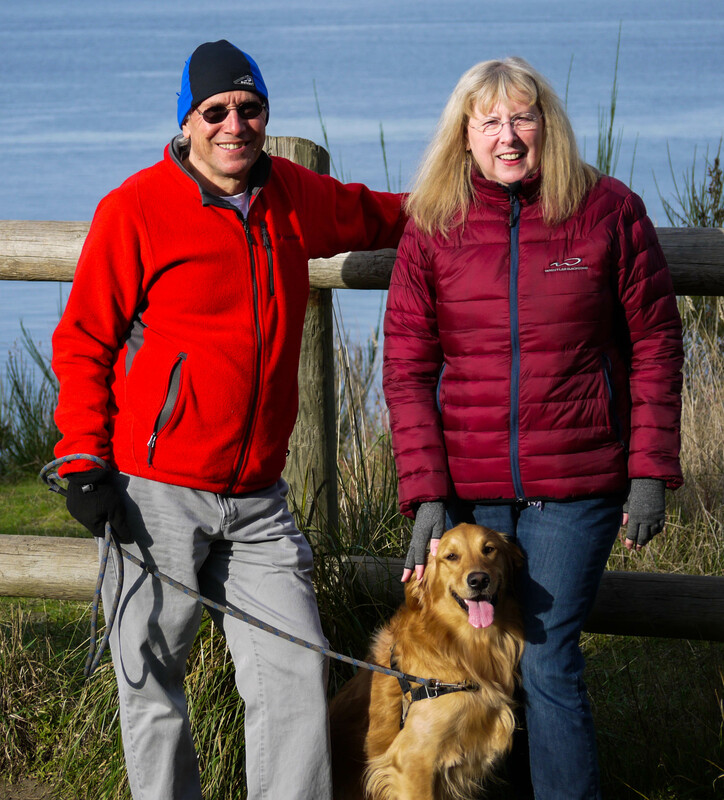 After lunch we went out to Fort Worden State Park for a nice little hike. Lola, the Hoskins’ golden retriever came along for the walk. 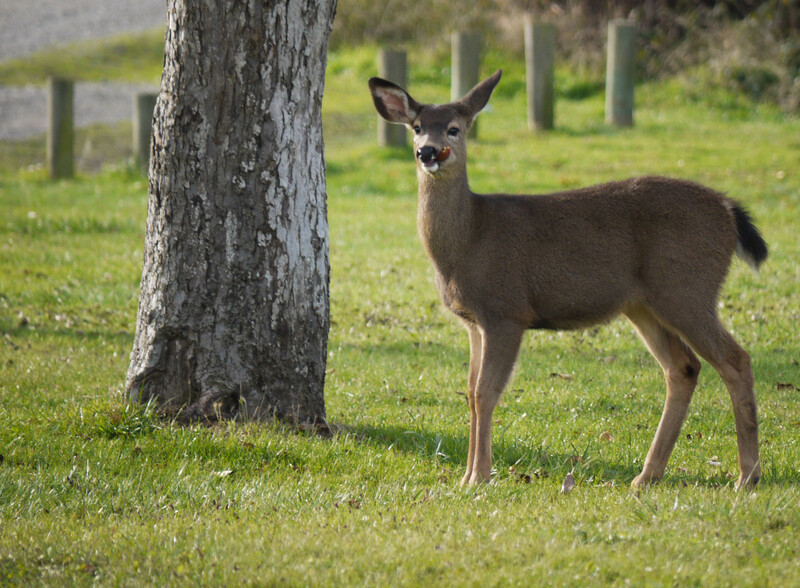 Before we even got started, we saw some deer near the parking area. There were beautiful views of Mt. Baker in the distance. 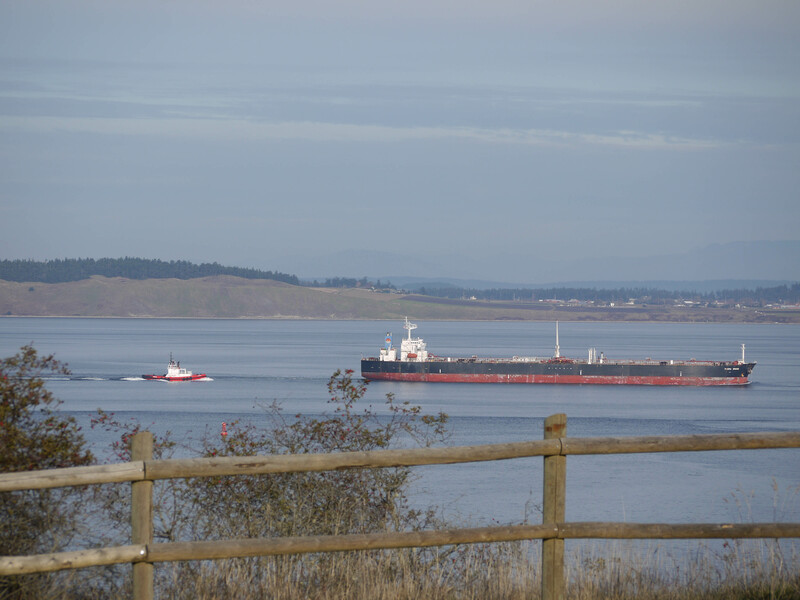 We saw this tanker being followed by a tug. Not sure what was going on but it made for an interesting picture. When we got to the top of the hill there was a view of the Point Wilson lighthouse below. 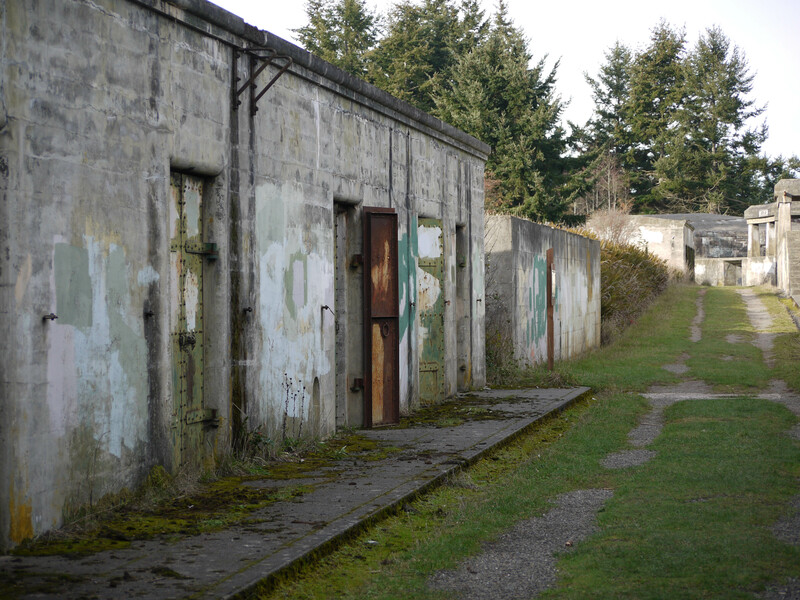 After going over the hill, we came to one of the gun emplacements at Fort Worden. It was pretty impressive. 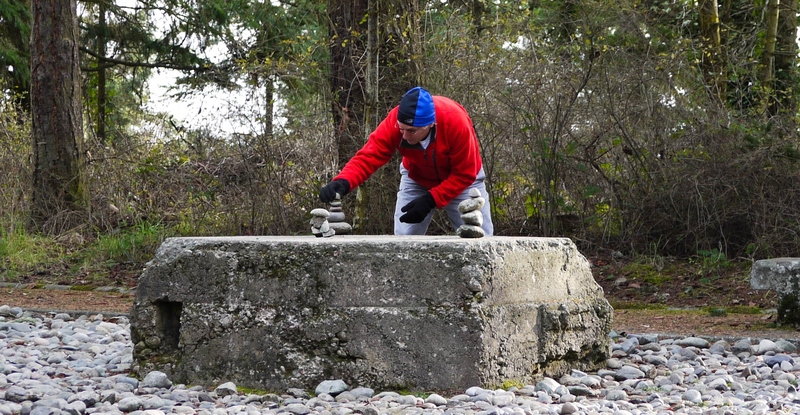 There was also a peace park in the area and Michael found some rock cairns that he added to. From the top of the hill we got some great views of the main part of the fort below. 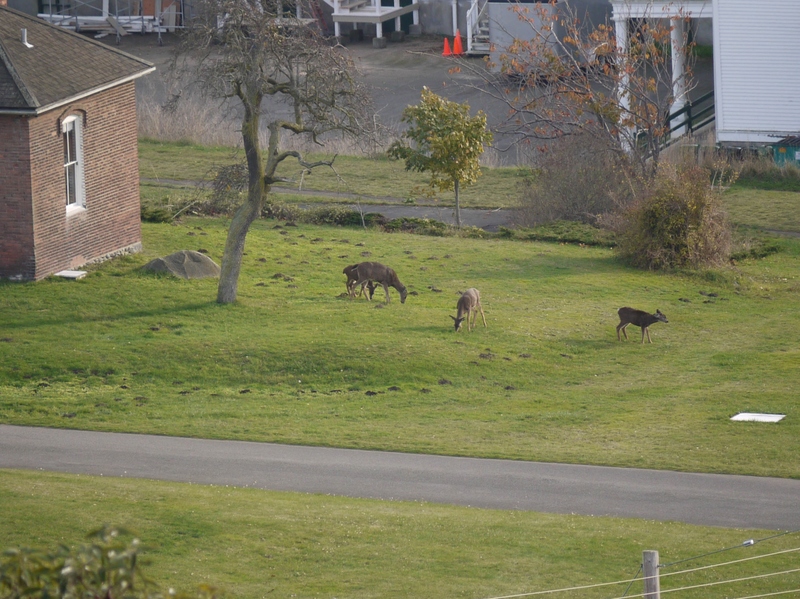 We even saw these deer in the fort. 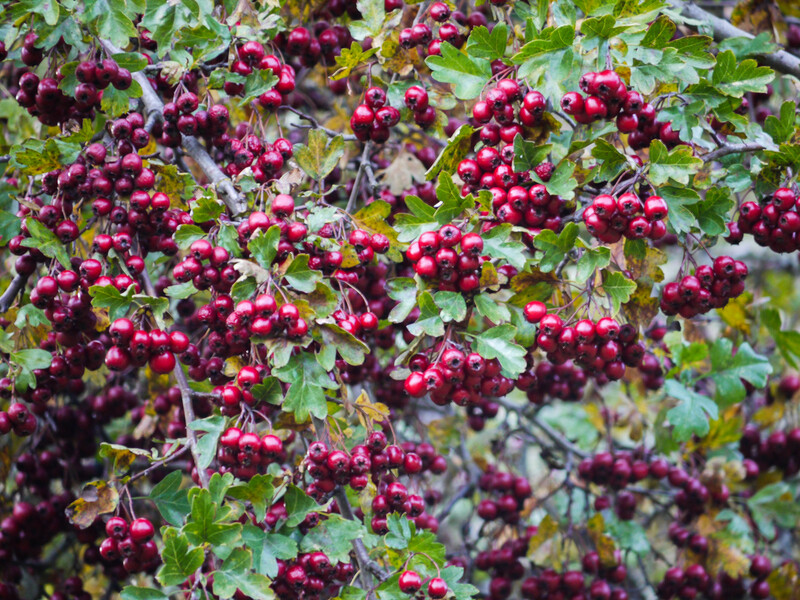 On the way down, we saw a whole tree with these berries which turned out to be crab apples. 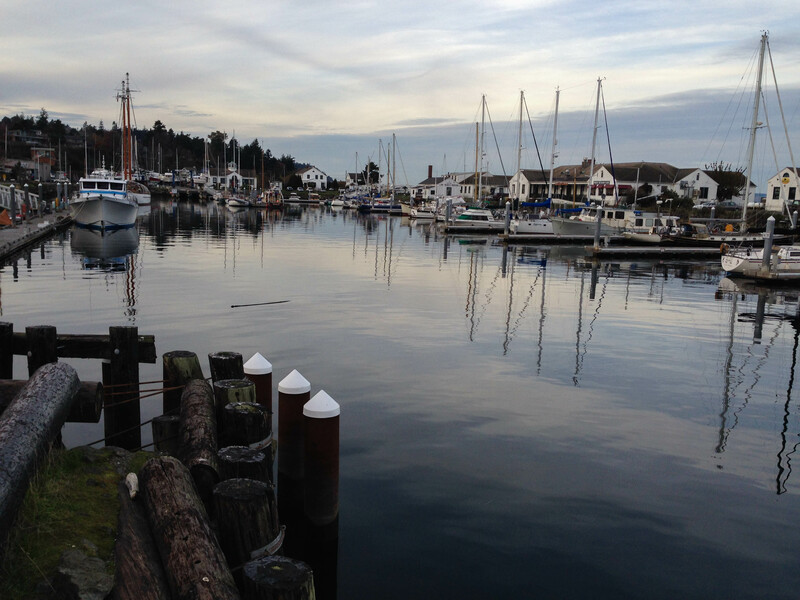 After the hike, we went to town for a coffee/hot chocolate and checked out the pretty little harbor before heading home. we took our front porch picture. 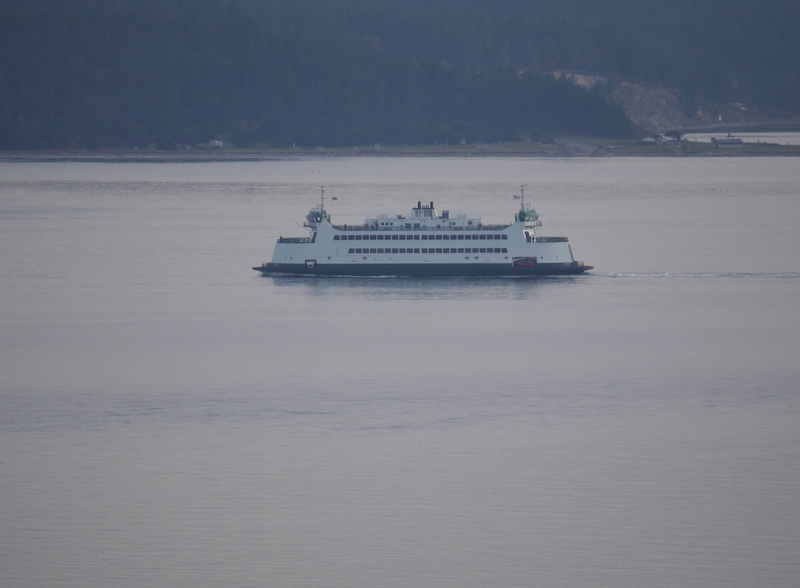 Then we took the ferry over to Whidbey Island for the afternoon. 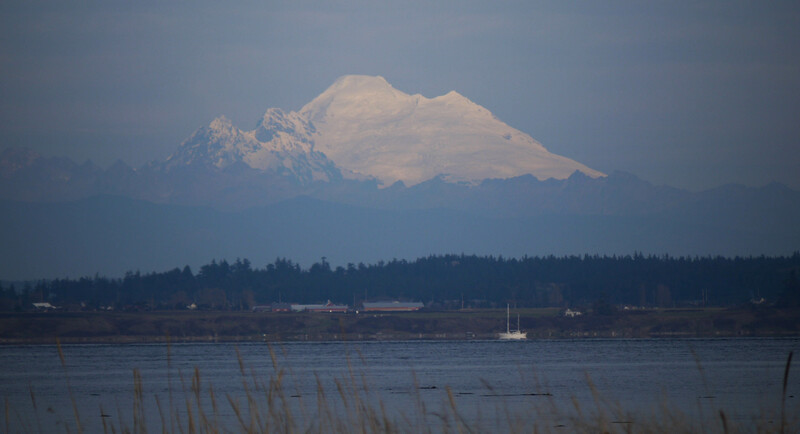 We had lunch in Coupeville on the waterfront, there was an idyllic view from the deck of Mt. Baker and a sailboat at anchor. 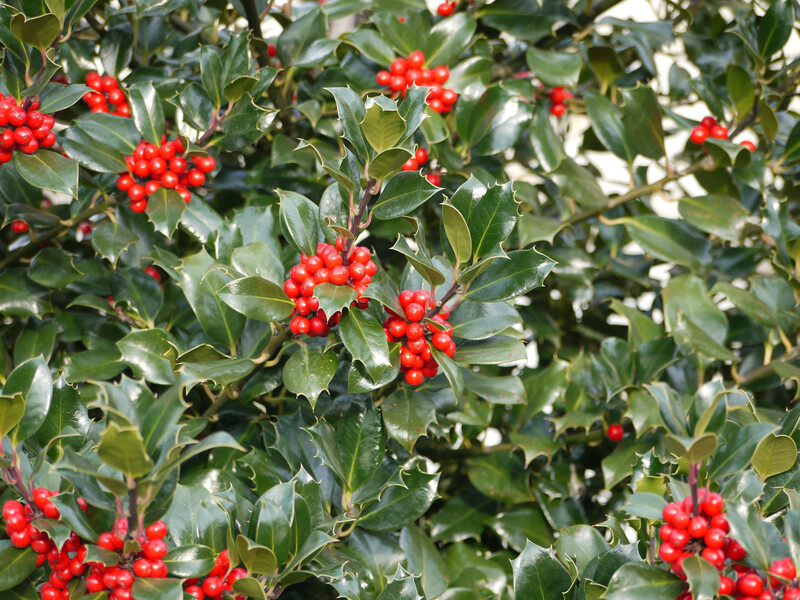 There was also this lovely holly plant in front of some of the shops. ‘Tis the season. Our next stop was Greenbank Farm where we went for a little walk and bought some wine and cheese. 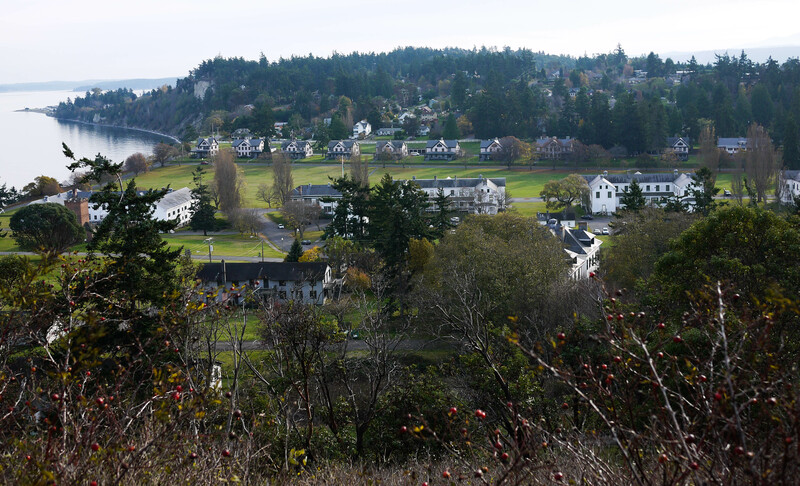 Next we went to Langley and walked around the cute little town. 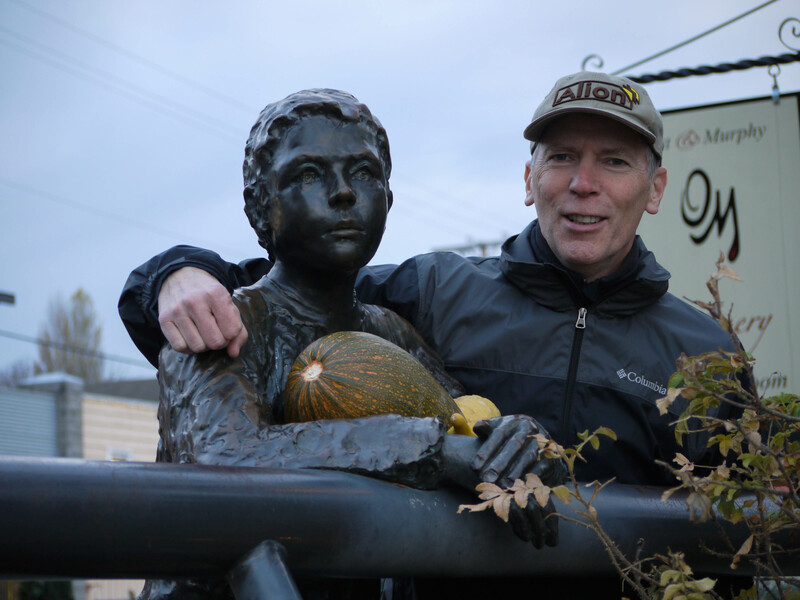 We saw this statue with his seasonal gourds and Bill decided to get in on the picture. 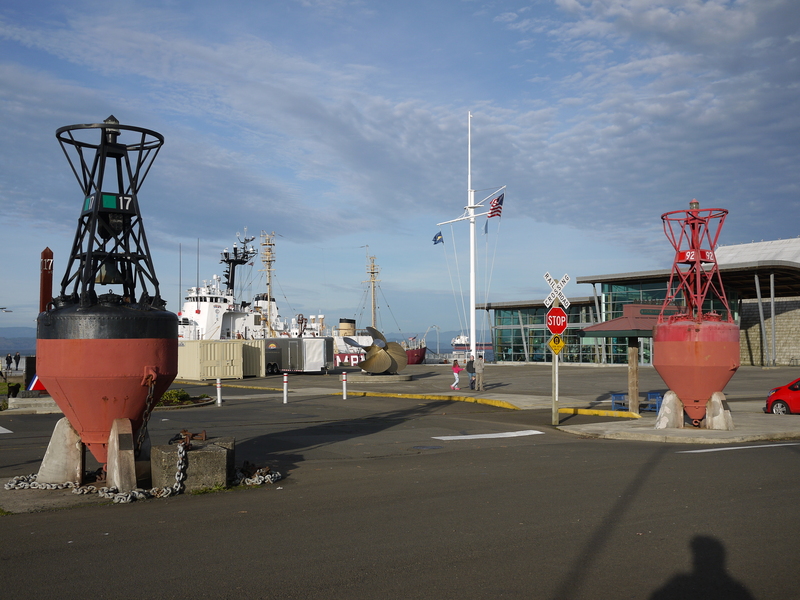 We took the ferry back to Port Townsend in time to meet more friends for dinner. 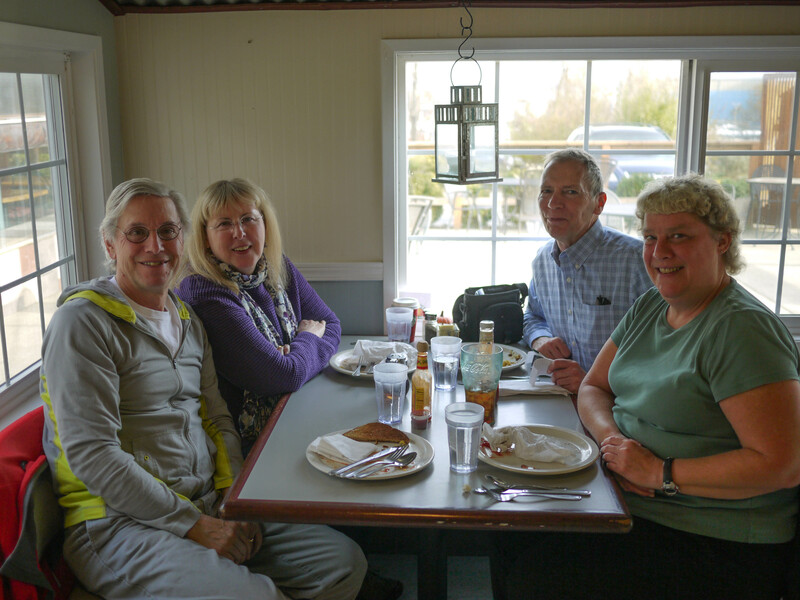 We had dinner at Doc’s on the waterfront with Merlin, Phyllis, Ken and Leslie. We had met all these nice folks while visiting with Michael and Kendra in the spring on the boat trip. We had a good meal, great conversation and really enjoyed ourselves. 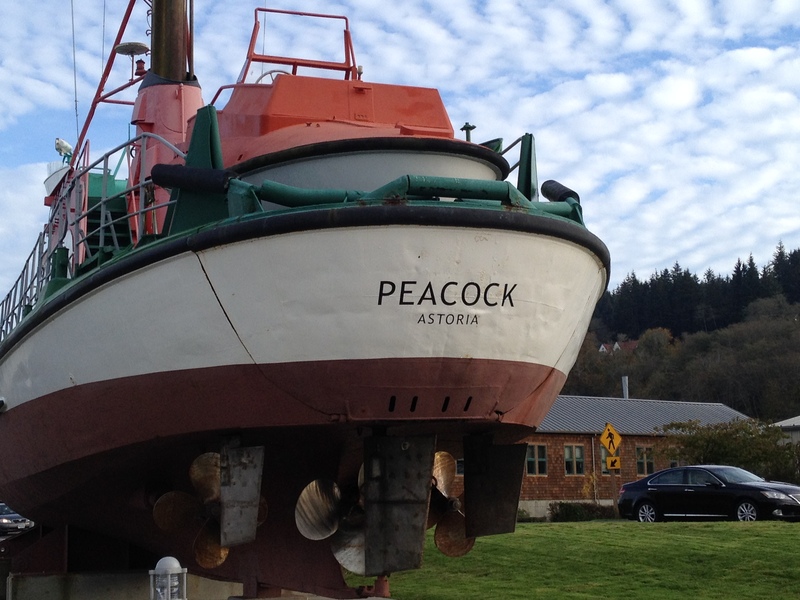 Tomorrow we’ll be heading towards Seattle with a stop for lunch in Port Orchard. Only a few more days until we head home. Linda graciously gave me some of her photos from the past few days I thought I would share. 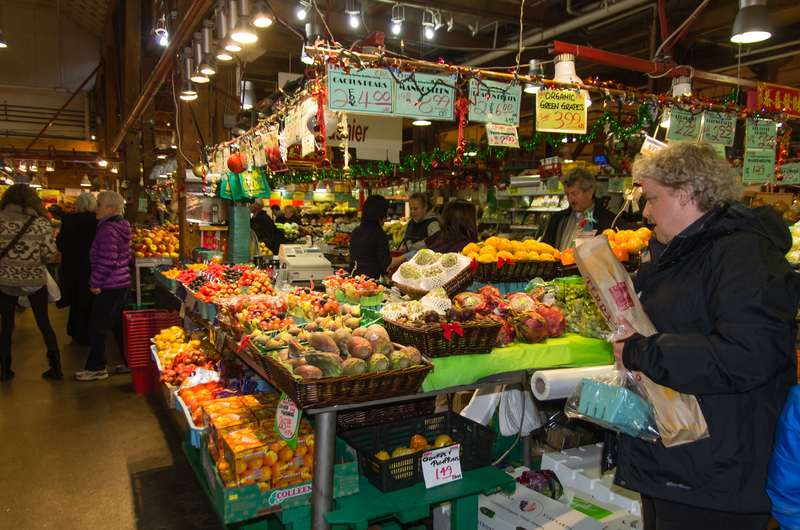 We’ll start with a few pictures from the Granville Public Market. 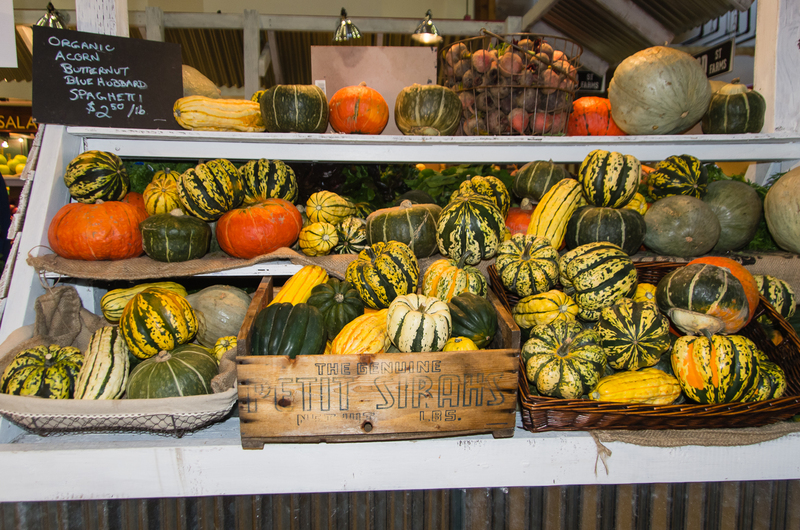 There were all sorts of colorful squashes. the amazing looking sweet treats. 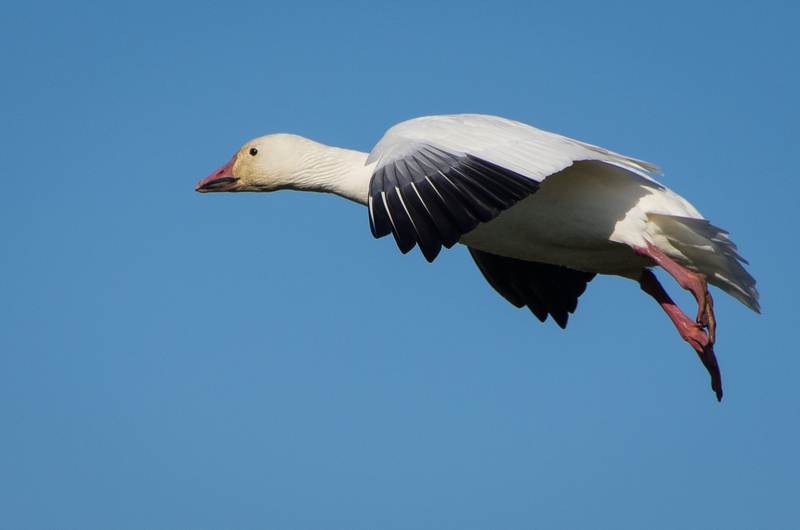 When we were at the park she got a great photo of a snow goose in flight. 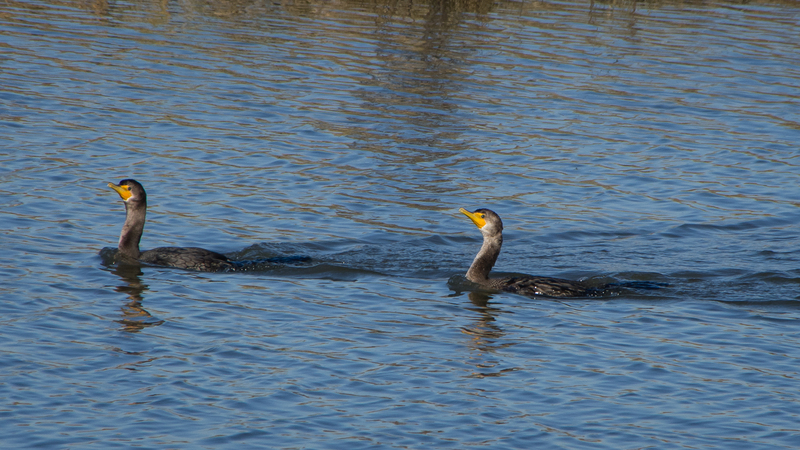 She also got this photo of a couple of cormorants that were fishing in Finn’s Slough. and here is the city through the harbor at the club. To finish our Saturday evening, Linda made us an amazing steak dinner. 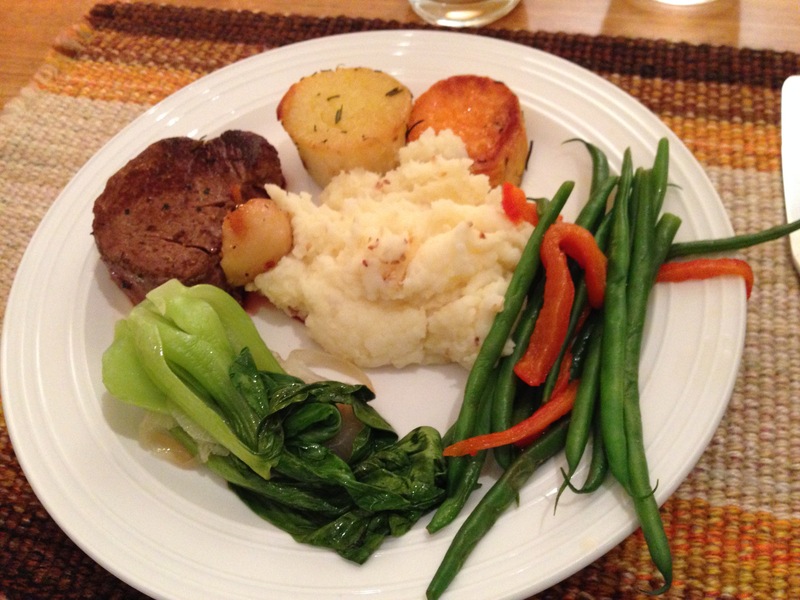 There was steak, garlic, mashed potatoes and a medley of veggies. It was outstanding. We went for a walk around the block after dinner to get some fresh air and stretch our legs before returning home for a dessert of figs and cheese. I’d never had a fig before and it tasted wonderful. We had to get up early on Sunday morning so we could catch the ferry to Victoria. We took a front porch picture as we were making our farewells. 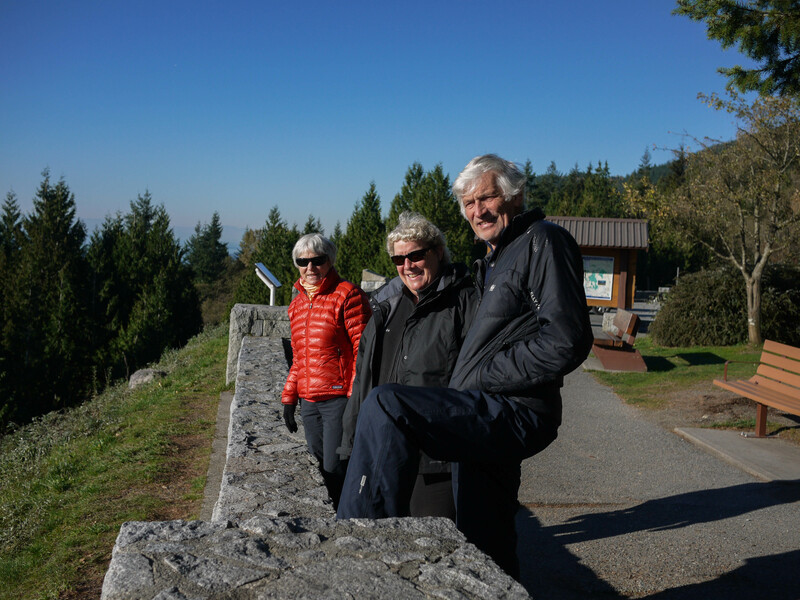 We had a lovely time in Vancouver and were overwhelmed by the warm and wonderful hospitality offered us by both Linda and Gerd. Here we are getting last minute directions to the ferry terminal from Gerd. 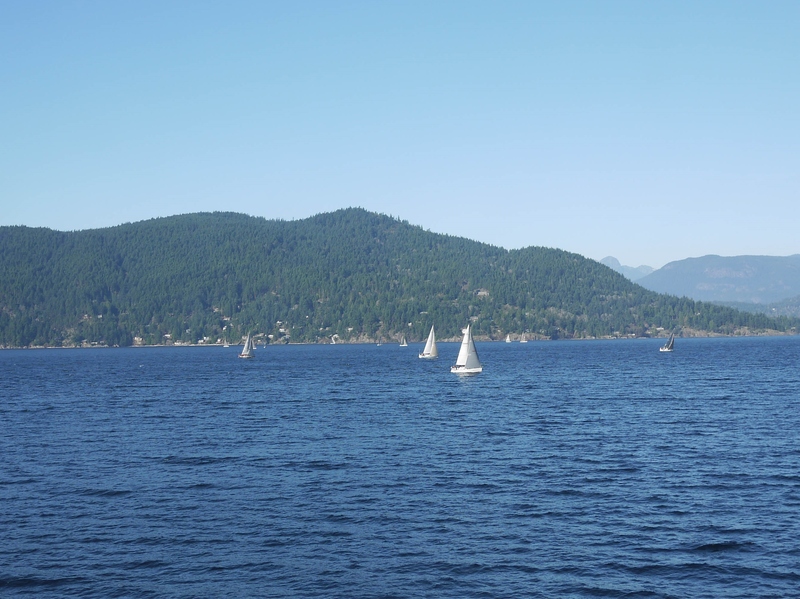 Once on the ferry, as we pulled out of the terminal we saw a bunch of sailboats. They must have been having a regatta or some such event. The ferry actually slowed down and went around them, I was amazed. We made it to Victoria without incident, checked into our hotel and had a restful afternoon. 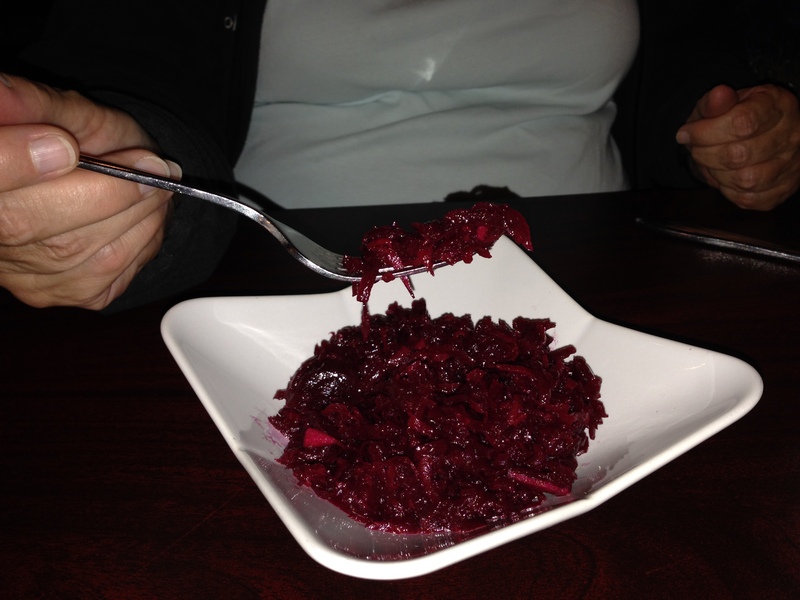 We went to dinner at our favorite Polish restaurant in Victoria, Skinnytato. We had an excellent meal and as we finished, the owner came by and said that she and her husband were talking about selling the restaurant and retiring. I’m glad we came by while they were still in business. I got a beet salad to go with my meal and I really enjoyed it. Now we’re relaxing, watching Masterpiece Contemporary and getting ready for bed. 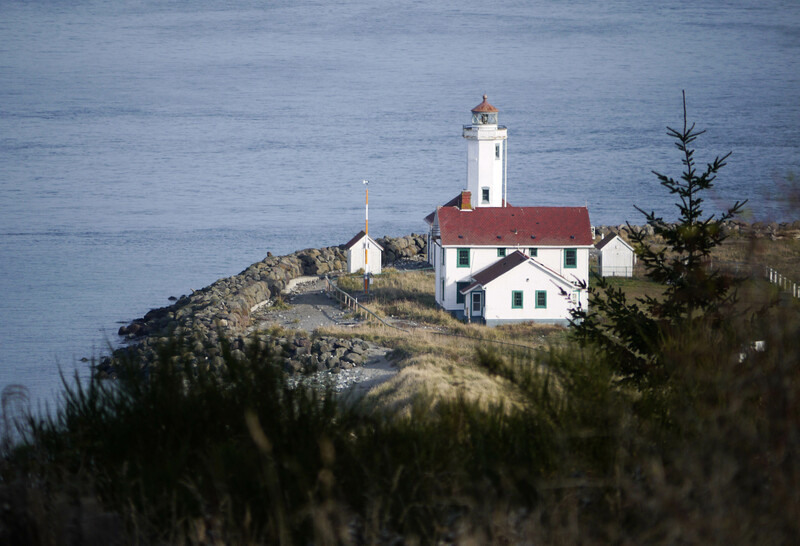 Tomorrow we’ll catch another ferry that will take us to Port Angeles and lunch with friends. 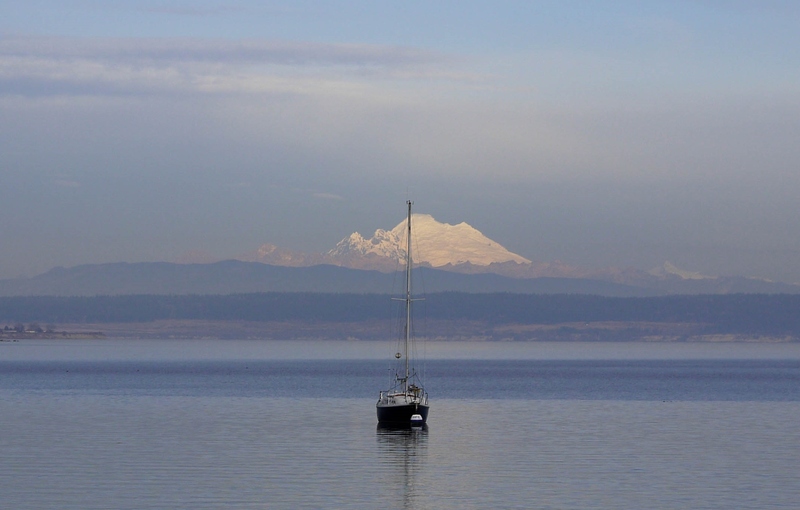 Then we’ll be off to Port Townsend where we’ll stay with friends for a few more days before we head home. We left Everett on a sunny but cool Thursday afternoon. We were on our way to Vancouver, BC and we quickly discovered that our rather old GPS didn’t have maps for Canada. We had talked about replacing it before we started the trip, so we stopped at Costco and got a new GPS that would take us to Canada. 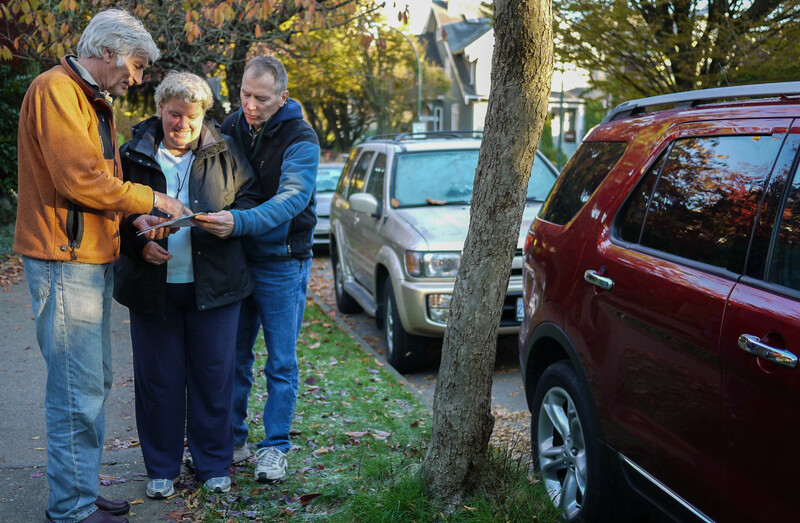 After negotiating the Vancouver evening traffic, we arrived at our destination, Gerd and Linda Mueller’s house, just before dinner time. It was really nice to see them again, they are friends we met on our boat trip earlier this spring. 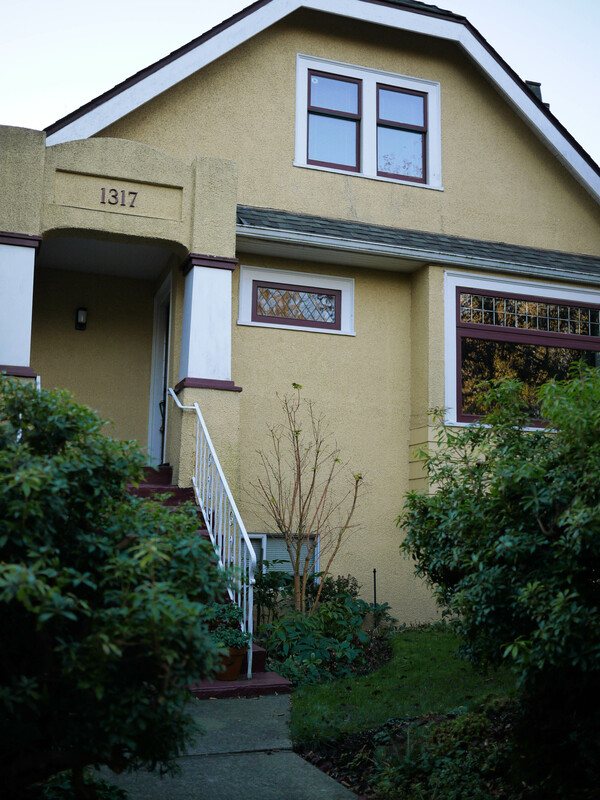 They live in a really cute home right in downtown Vancouver. 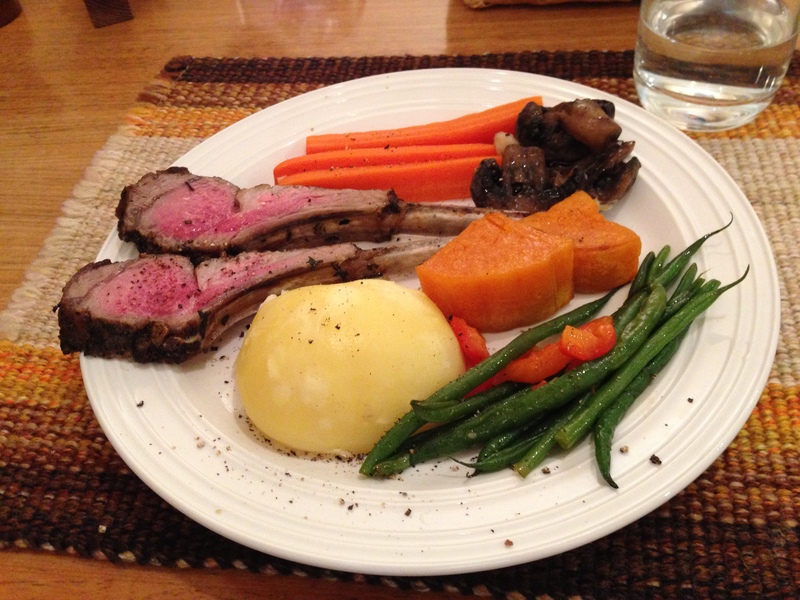 Linda made a lovely dinner of lamb chops and veggies. It was delicious. We spent a pleasant evening catching up on things we’ve done since we had seen each other last. Friday morning dawned sunny and cold. 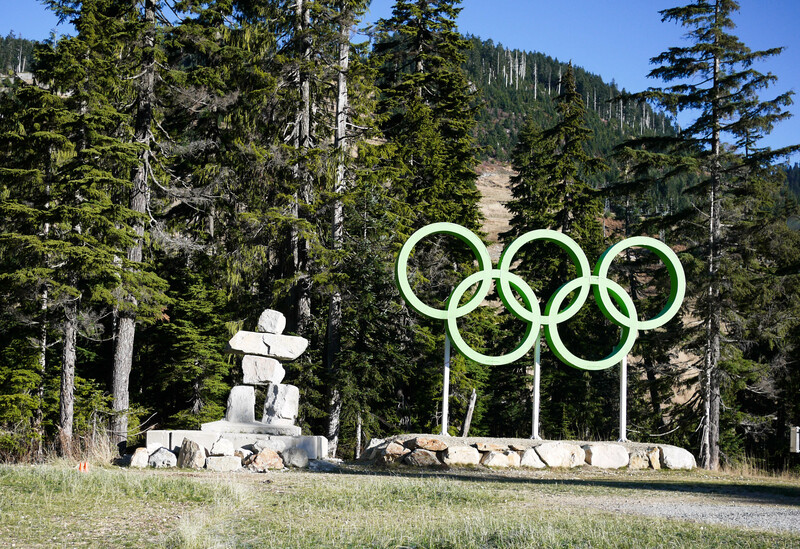 We took a trip up to Cypress Mountain, one of the ski venues used during the Vancouver Olympics. On the way up we stopped at a turnout with a view back to Vancouver. 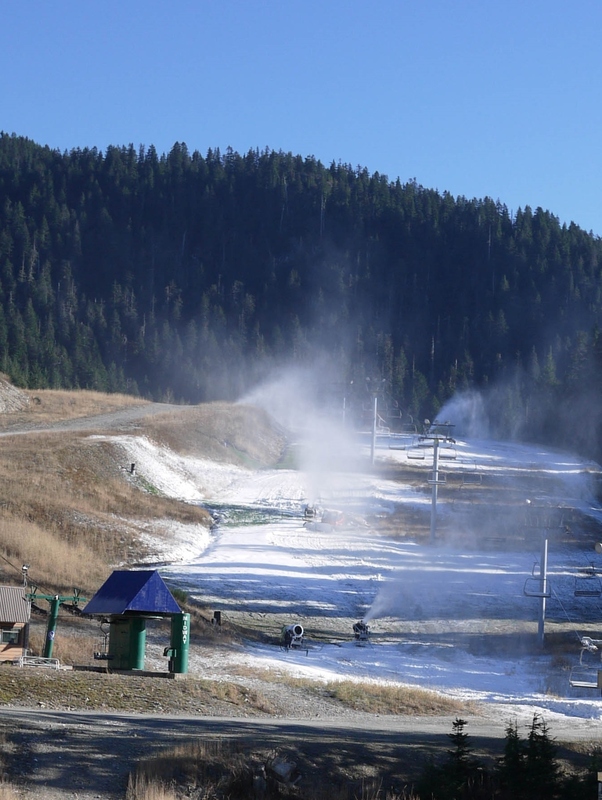 They were making snow on the mountain so they could open for skiing the next day. They were really lucky it was so cold outside. We went for a walk on one of the trails in the area and enjoyed the beautiful scenery. 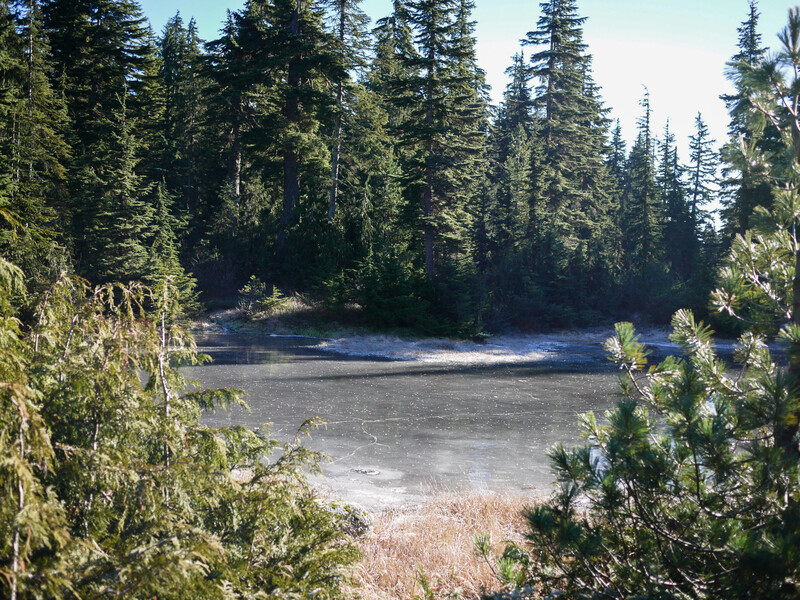 It was cold enough to freeze the small lakes in the area. 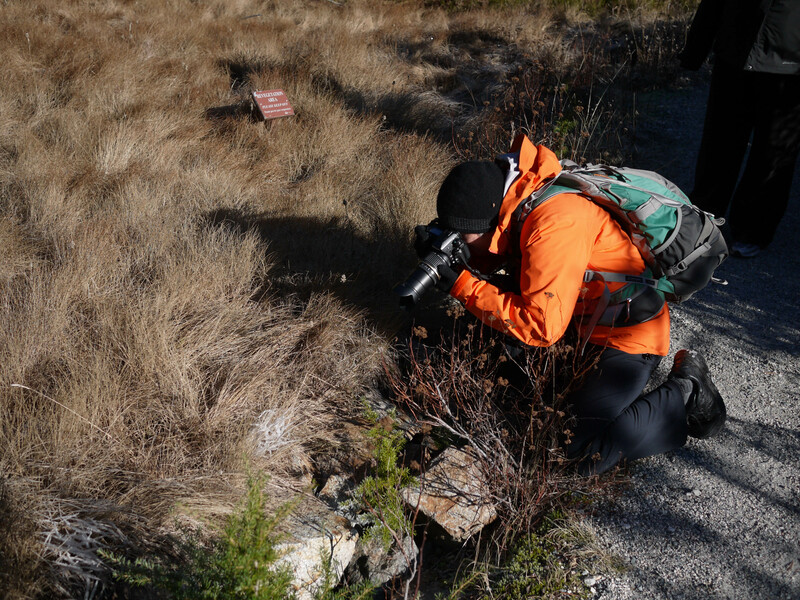 Linda loves to photograph nature and she got some great outdoor shots. 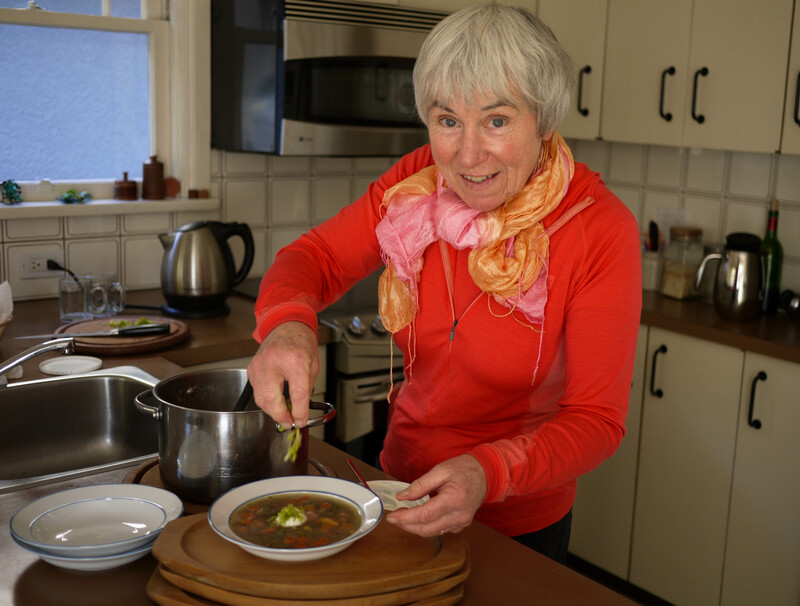 When we got home she made a hearty soup for lunch that really warmed us up and filled us up too. After a little afternoon rest, we walked to the Granville Public Market. It was a great little walk to a really cool spot and we got some good views of the city along the way. 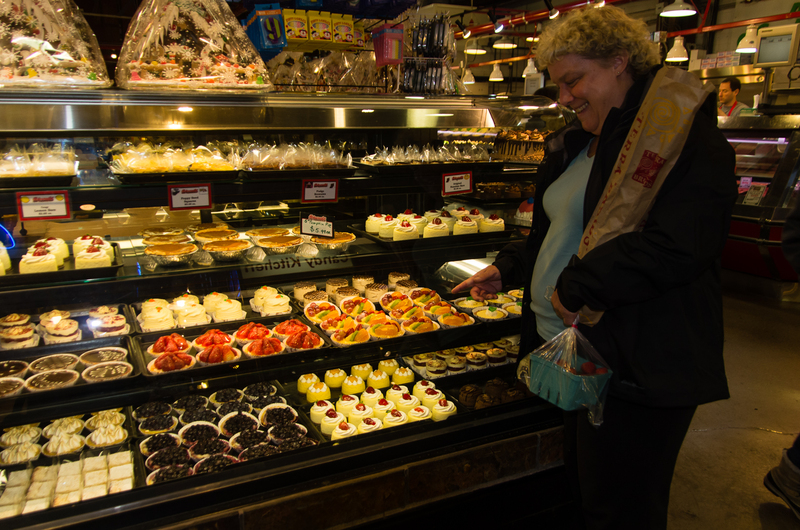 After arriving at the market, Linda and I stayed and shopped and the men went home. It was great fun to buy fresh fruit and veggies and look at all the arts and crafts that they had for sale on the island. When we returned home, Linda made another lovely dinner of ham, portobello mushrooms (that we bought at the market) and veggies. It’s been a true gourmet experience. We had the strawberries and golden berries that we bought at the market along with some truffles for dessert. One more amazing day to add to our story. Saturday morning was a repeat of Friday, sunny and cold, but really beautiful. 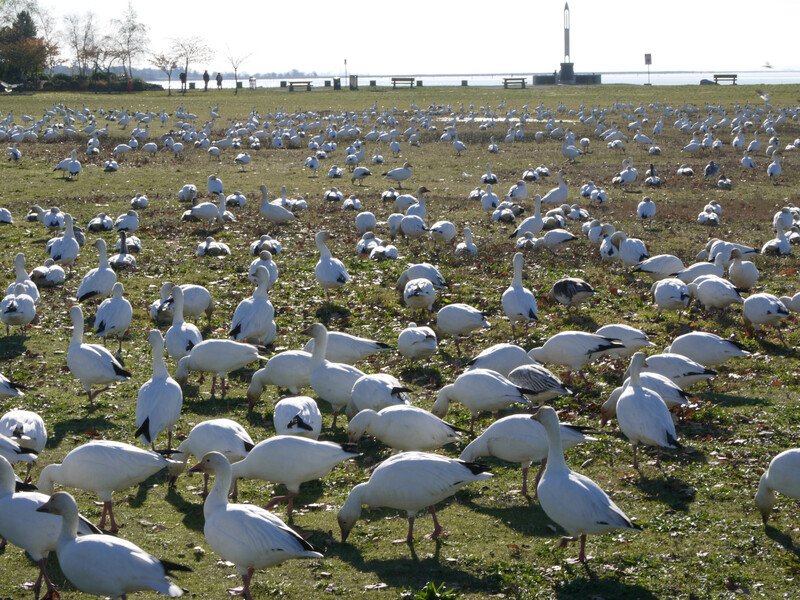 Gerd and Linda took us to a park in Steveston to see the snow geese. 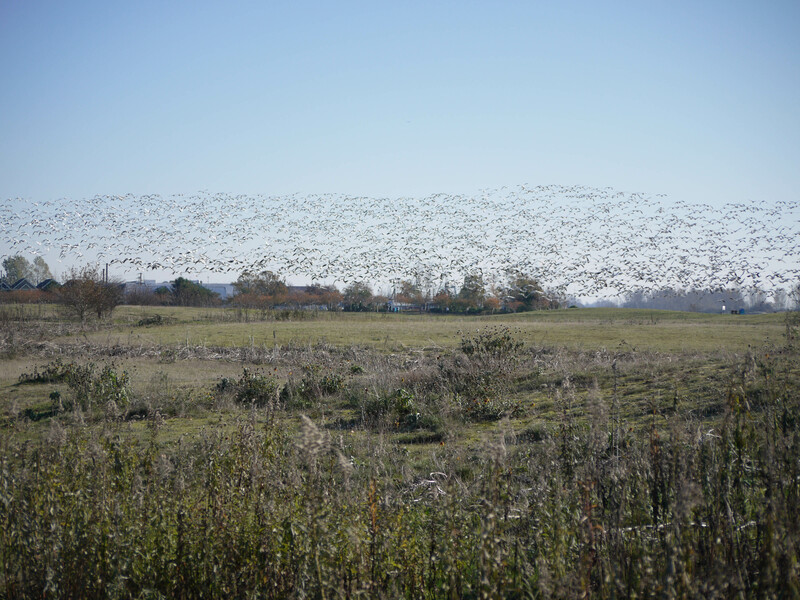 There were lots of them! 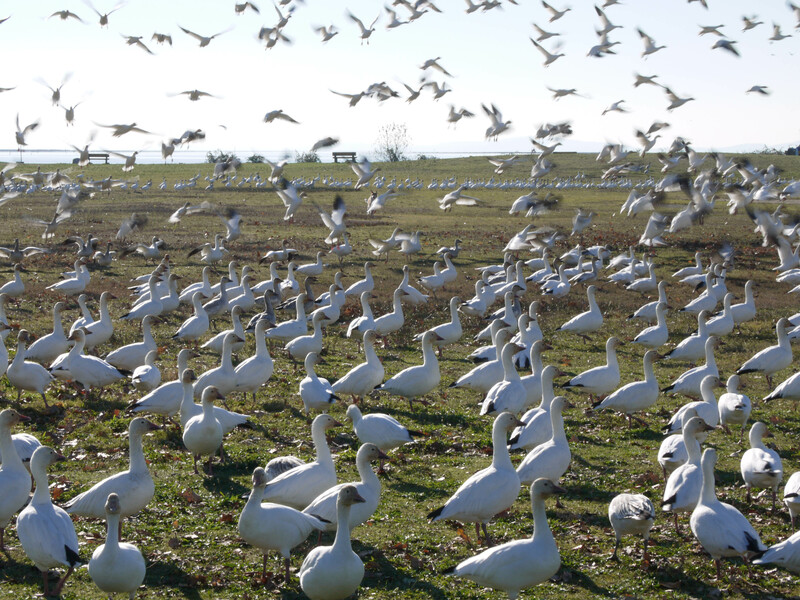 While we were there an errant dog came through an scared all the birds out of the field. 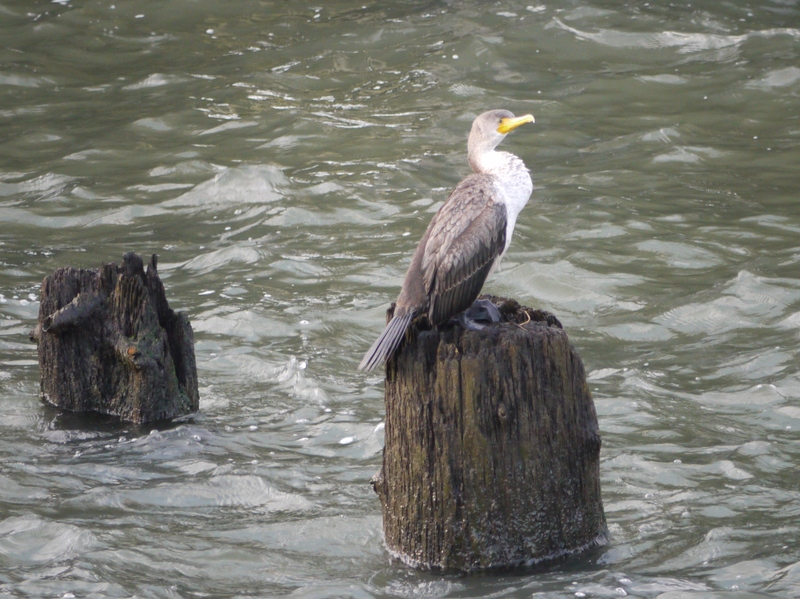 They flew over to the water where they settled for a while. 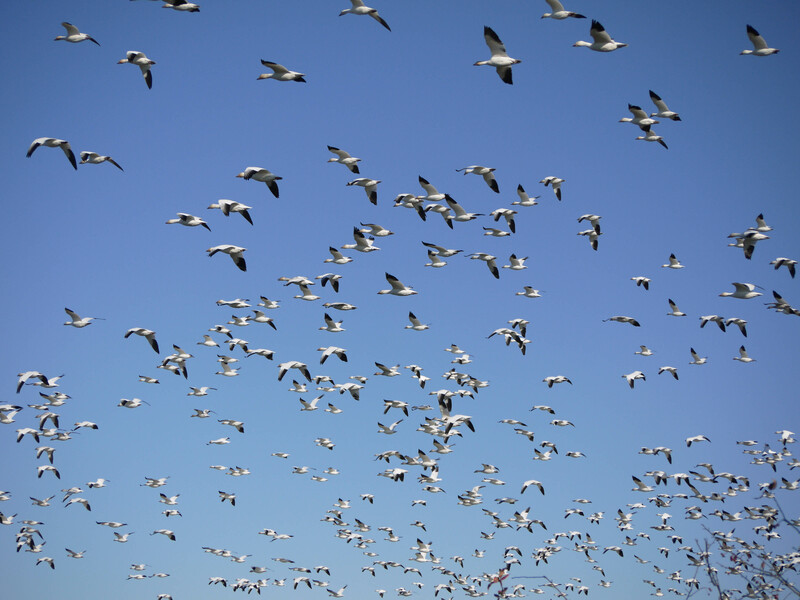 There were snow geese everywhere. 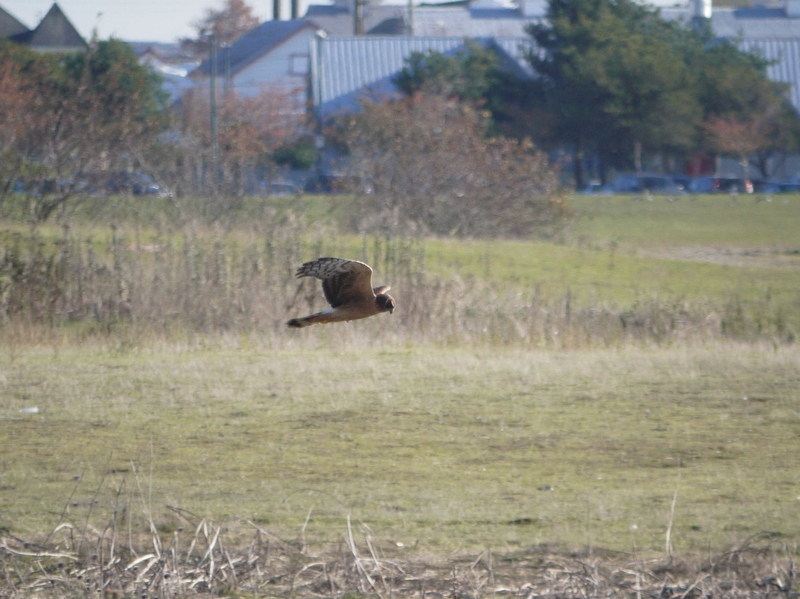 We saw some other birds as well, this was a Harrier looking for a tasty treat in the grass. 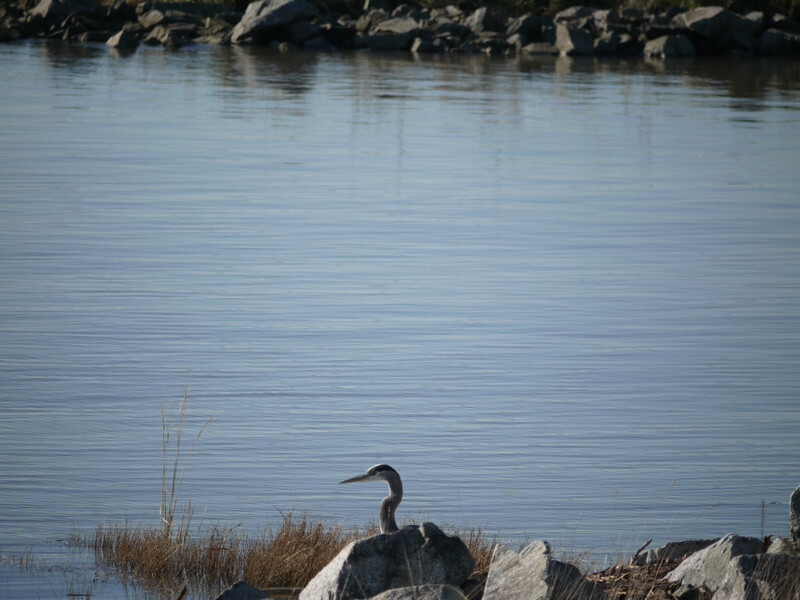 And of course there was a heron, this one was fishing behind a rock. After the birds, we walked to a local bakery for lunch and had homemade soup and a panini. It was really good and a nice break. 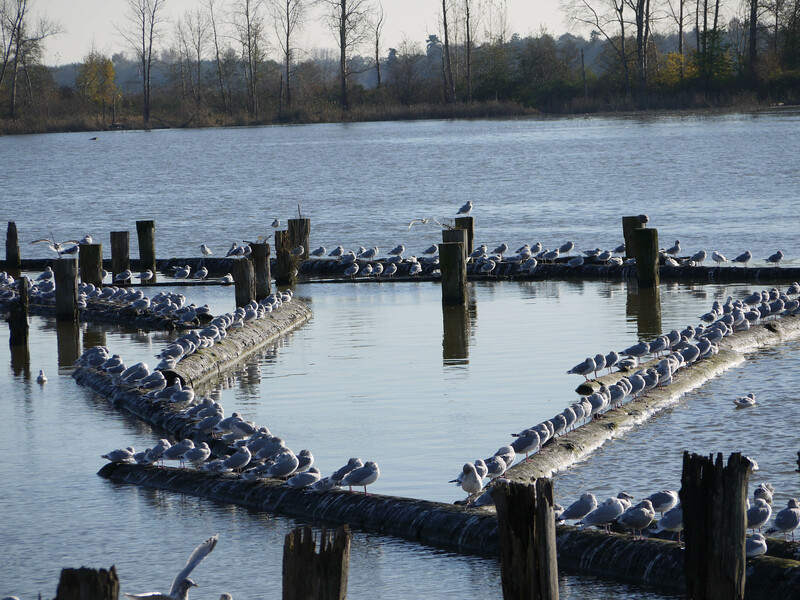 Next, we went for a walk along the Fraser River and saw even more birds. Here are some seagulls sunning themselves. 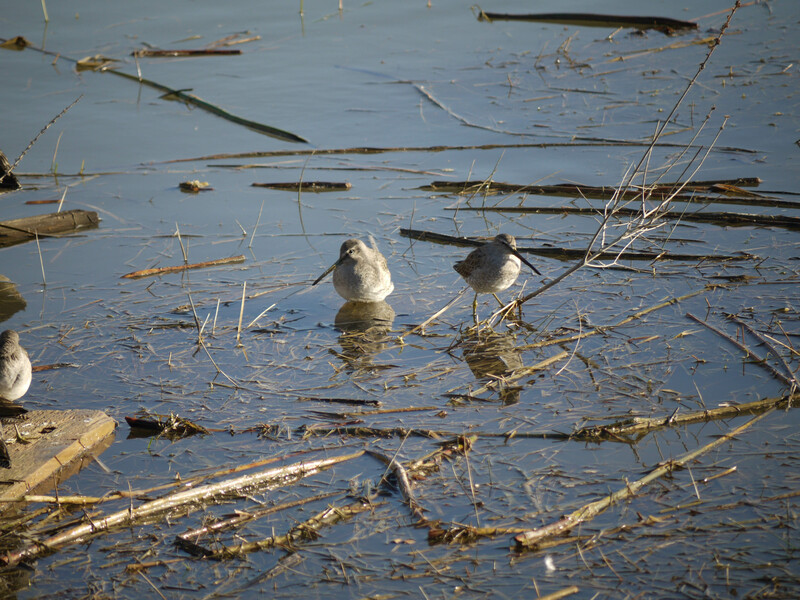 There were also these little brown birds with long bills, Dowitchers, that were enjoying the sunshine. 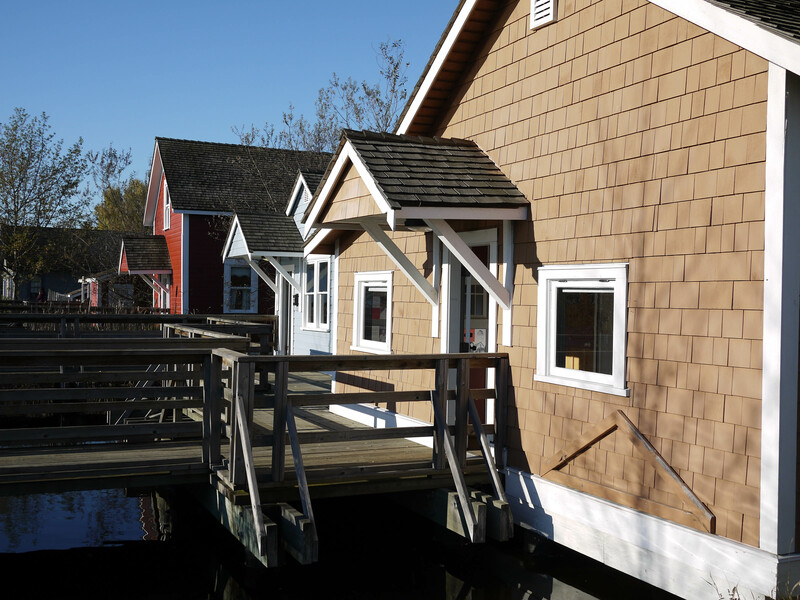 There was a project by Federal Heritage Parks to restore an old cannery site along the river as well as a cannery museum. 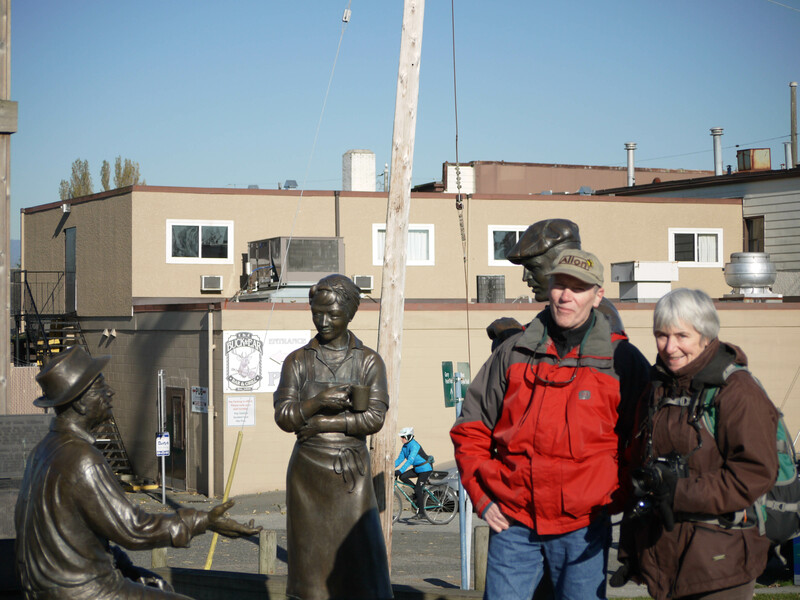 Linda and Bill stopped to check out this statue in front of the museum. They had also restored a bunch of the old cannery buildings which were open to the public and had some really interesting information about cannery operations. 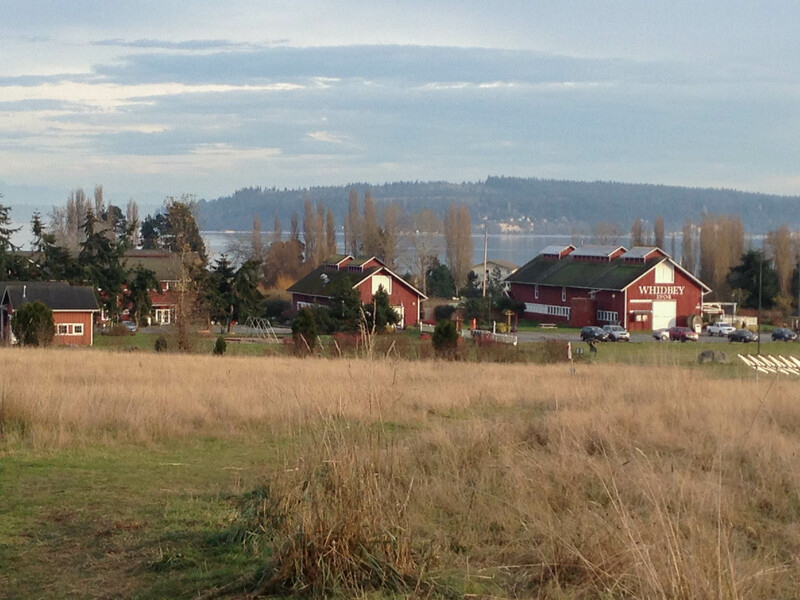 On the way home from Steveston, we went through the UBC (University of British Columbia) campus which is on the end of the peninsula where Linda and Gerd live. We also stopped at the Yacht Club where they keep their sailboat, Taranga. There were gorgeous views of the city from the harbor. 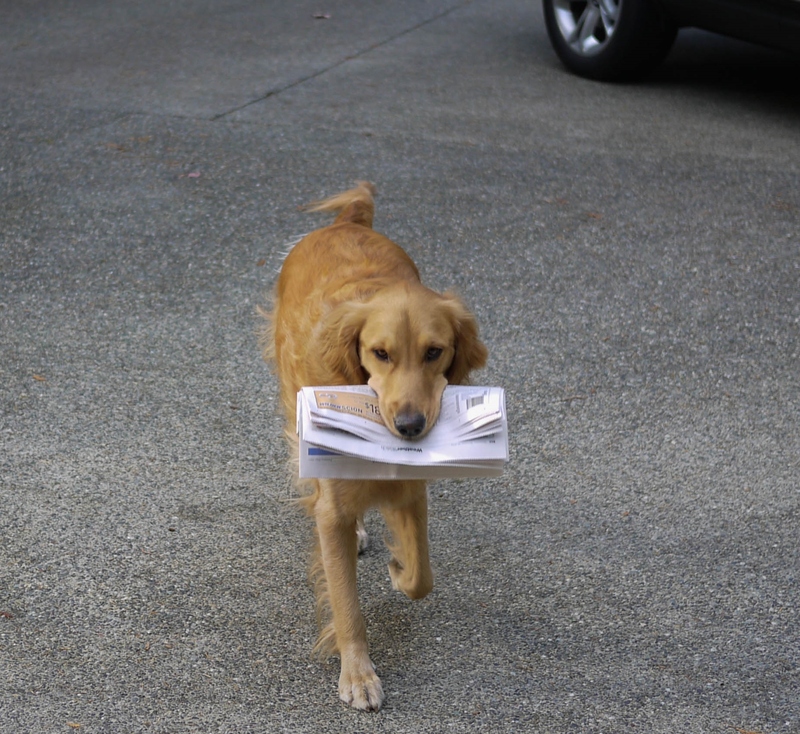 When we got home, I started working on the blog while Linda and Gerd went to vote. I’m going to get this posted now and I’ll finish the rest of the day in the next edition. 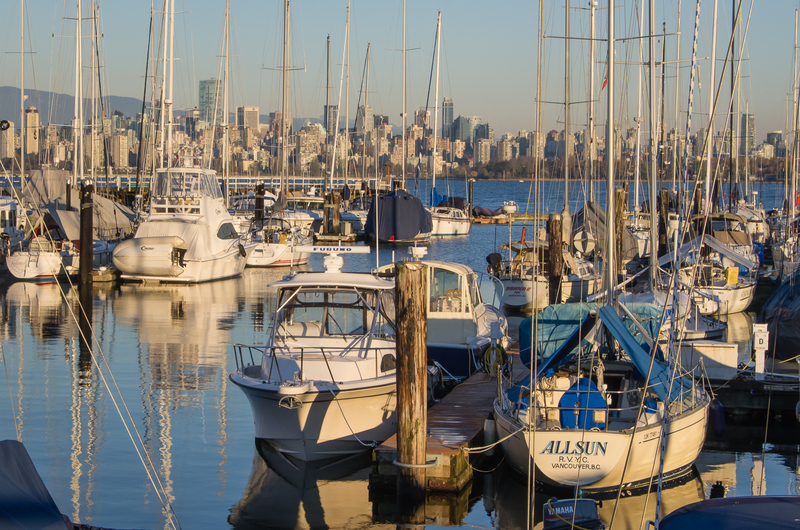 Tomorrow we will head to Victoria, BC on the ferry from Vancouver. If the weather holds it should be a gorgeous trip. 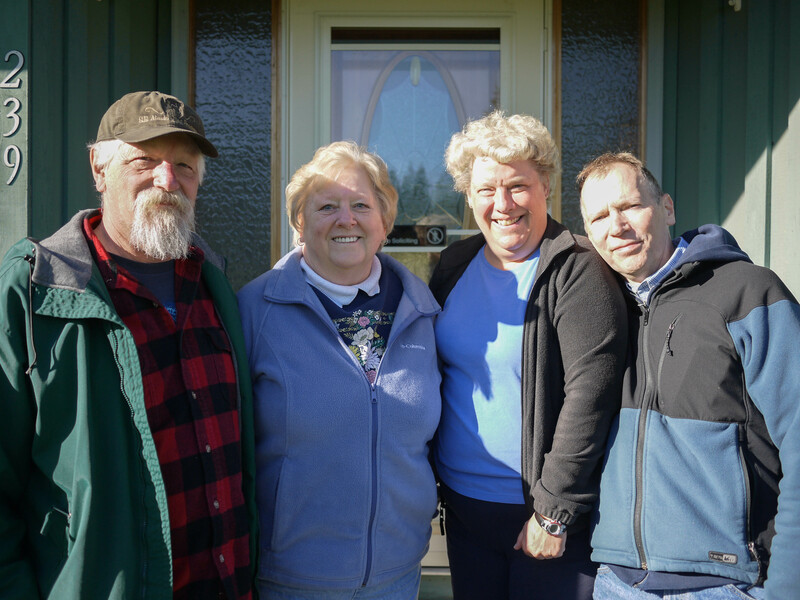 We left a very windy and chilly Portland on Tuesday afternoon and headed toward Toledo, Washington to visit our friend MaryAnn Henriques. She used to live in Juneau and moved to Toledo after retiring a few years back. Her brother George was also down from Juneau visiting so we got to see him too. We spent the afternoon chatting and catching up on what we’ve all been doing for the past few years. It was very enjoyable. MaryAnn had a couple of dogs, Milo and Amanda. 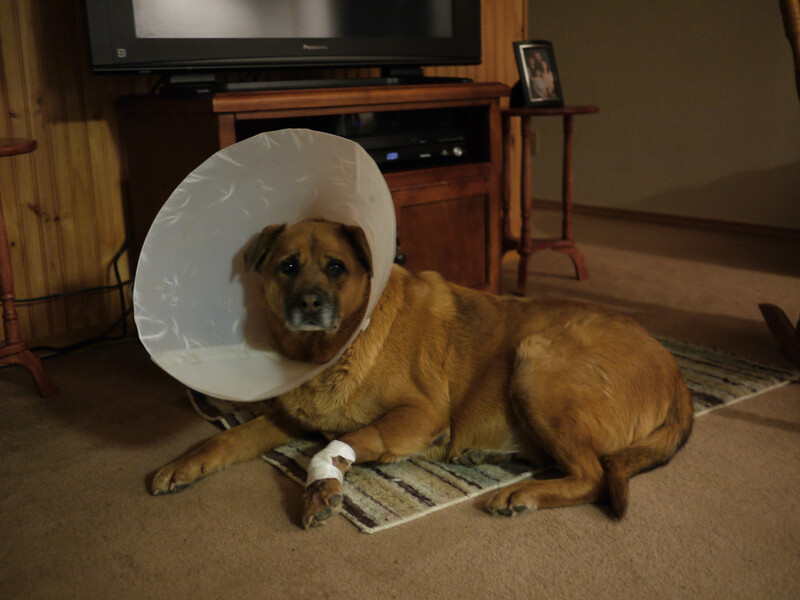 Milo had to have surgery on his foot and was stuck in a lampshade collar much to his embarassment. 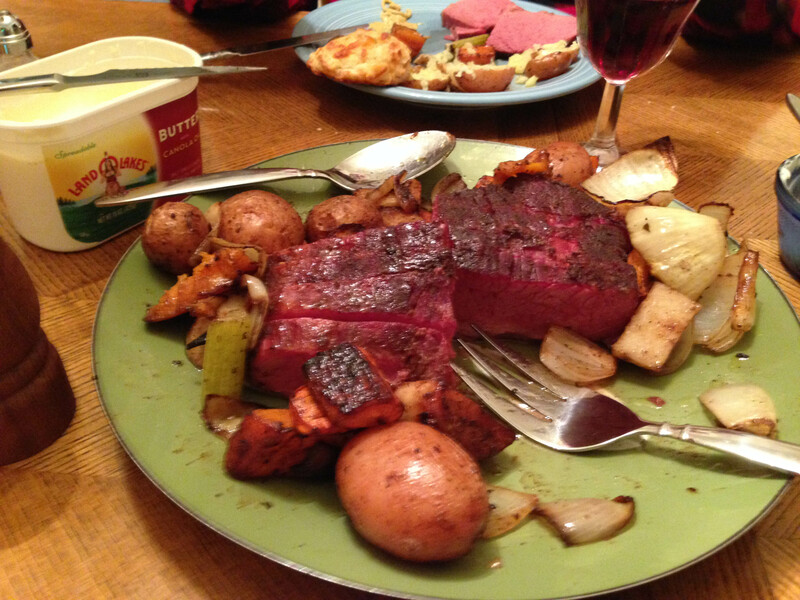 MaryAnn made a delicious dinner of roasted corned beef and vegetables along with Red Lobster cheese biscuts. It was really good, I’m going to have to give it a try when we get home. We spent a really quiet and restful night and took the requisite photo on the front stoop the next morning. It was really sunny but really cold out at picture time. A little later, we all drove up to Centralia for lunch at Country Cousin. It was a really interesting place with lots of old farm equipment and ornaments on the walls. After a good, hearty lunch, Bill and I took off for Everett, a half way point between Toledo and our next stop, Vancouver, BC. We went through Seattle on the way and this was our first glimpse of the city. We’re staying at another brand new hotel in Everett, it’s the fourth or fifth one this trip, and it’s very nice. Here’s the view from our window. I got the laundry caught up this afternoon while Bill was working out and then we walked to dinner at an Italian place that the front desk clerk recommended. We ate way too much really good pasta and now we’re relaxing, watching TV and catching up on emails. 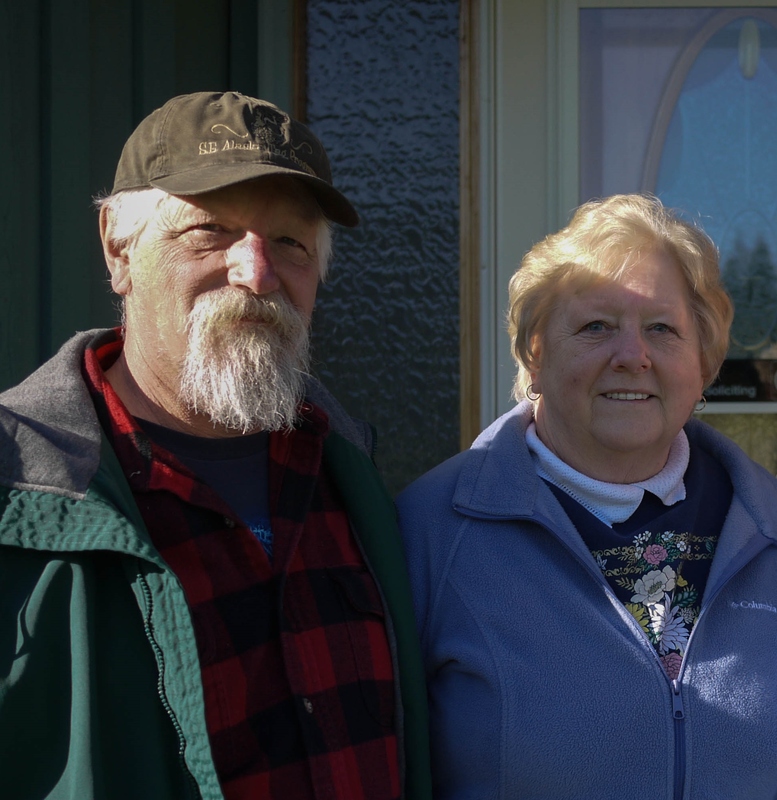 Tomorrow we’ll be heading for Vancouver to visit friends we met this summer on our boat trip, Gerd and Linda. 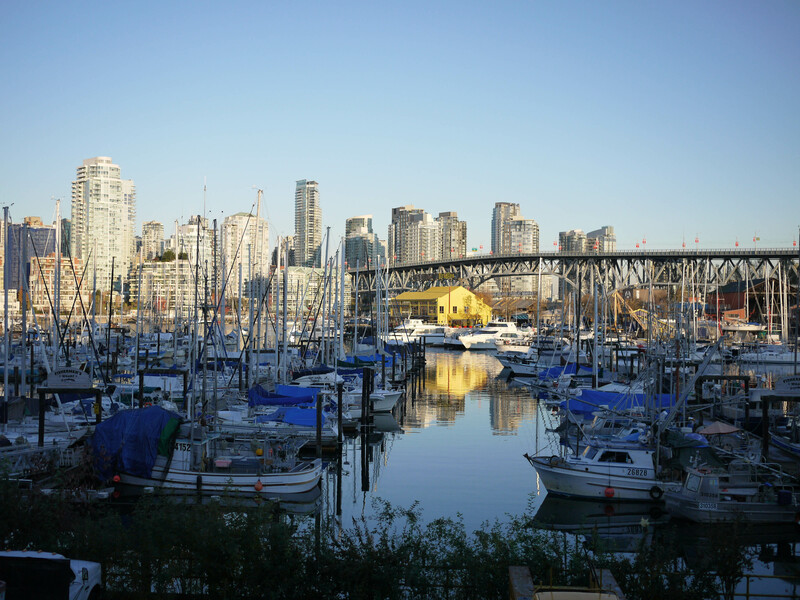 We’ve always enjoyed Vancouver and it will be really special to spend time with friends as well. We woke up to a cloudy, rainy morning in Portland. We had an appointment to take our car in to have the windshield replaced at 10am so I had to get up early. A couple weeks ago it got hit by a rock which started a crack that made it about half way across the the windshield. We decided to get it replaced before we got home and Portland seemed like a good place to do it. Now the clock starts to see how long the new one will last before the next chip or crack. By the time we finished with the windshield, it was sunny outside and time for lunch. 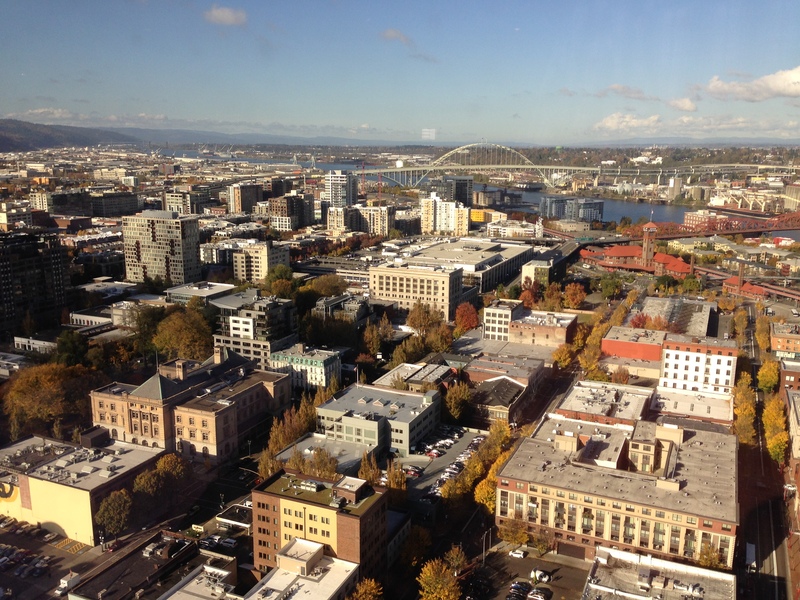 We went downtown and ate at the Portland City Grill which is on the 30th floor of one of the tallest buildings in town. We had a delicious lunch and got some pictures of the downtown skyline while we were there. 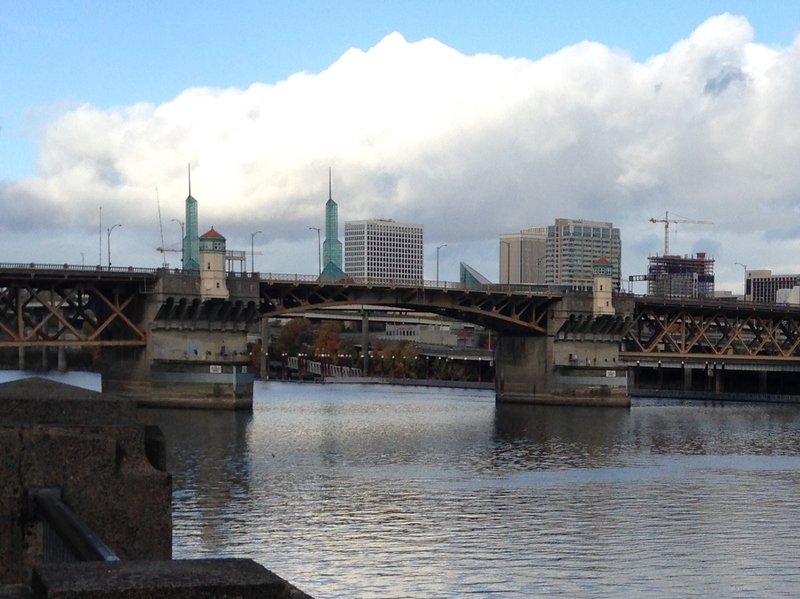 Bill had this panorama from yesterday showing the skyline from one of the bridges. You can click on the picture to see it better. It’s pretty cool. 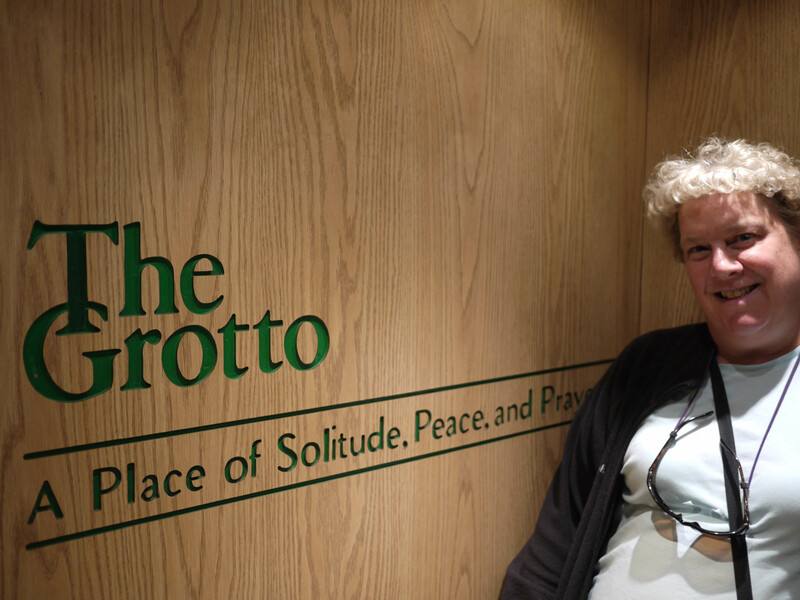 After lunch we went to The Grotto, a statue garden owned by the Catholic Church . It’s a combination of gardens, sculptures and shrines in a park setting. 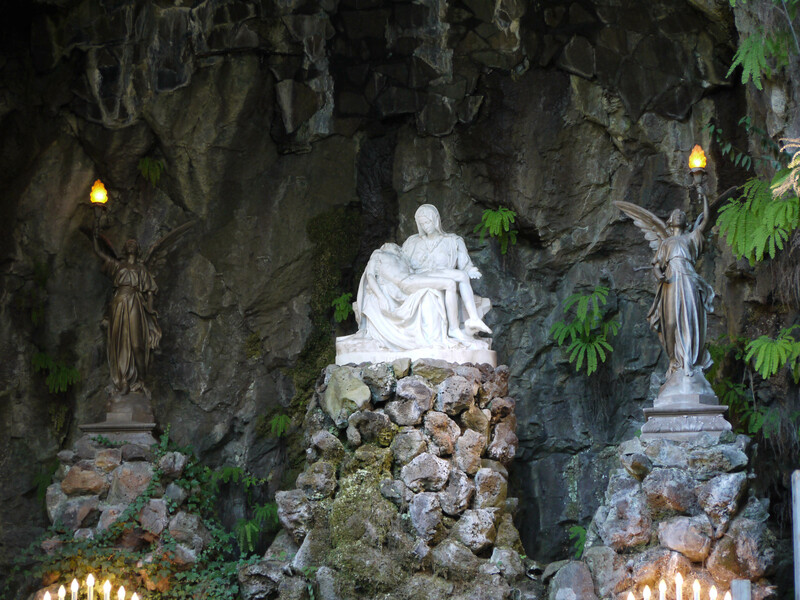 There was a replica of Michelangelo’s Pieta carved into the base of a cliff. Most of the sights were on top of the 110 foot cliff. We took an elevator up to check it out. There were lots of statues and shrines in the gardens. 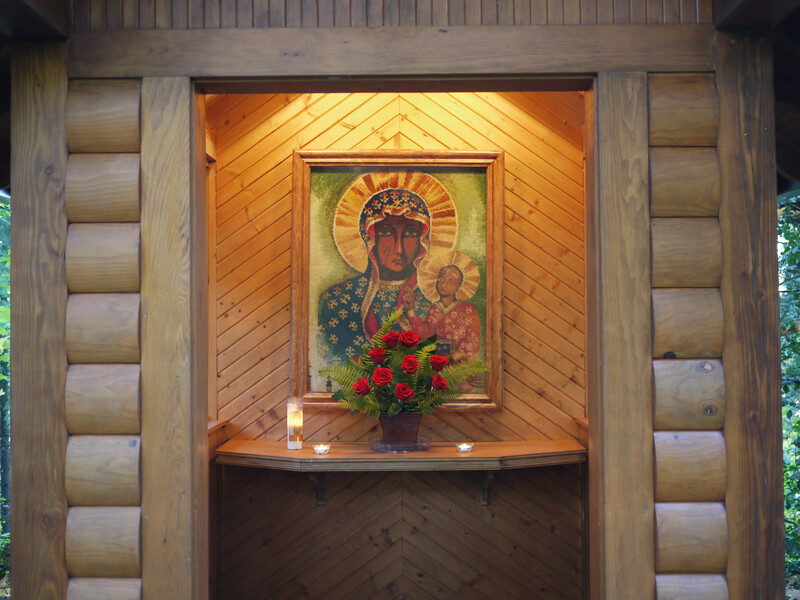 This shrine was from Poland. 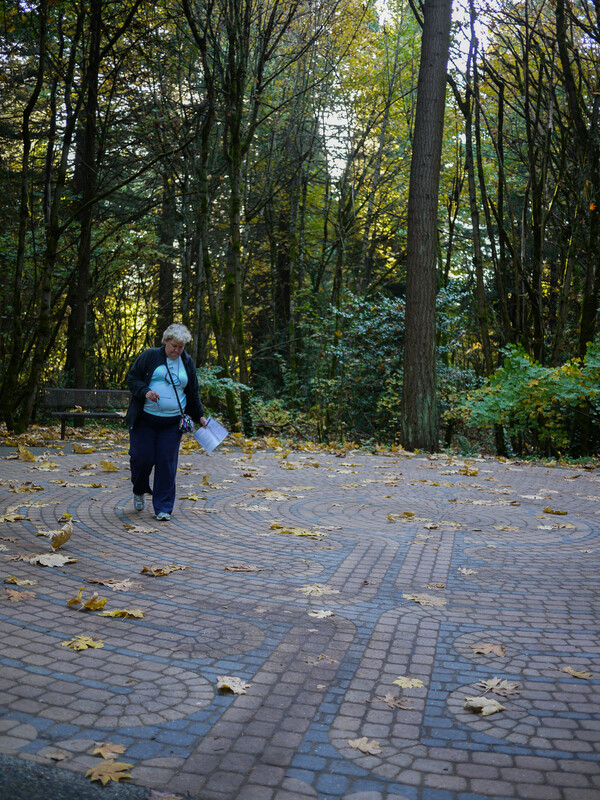 There was also a labyrinth in the gardens that I walked through. 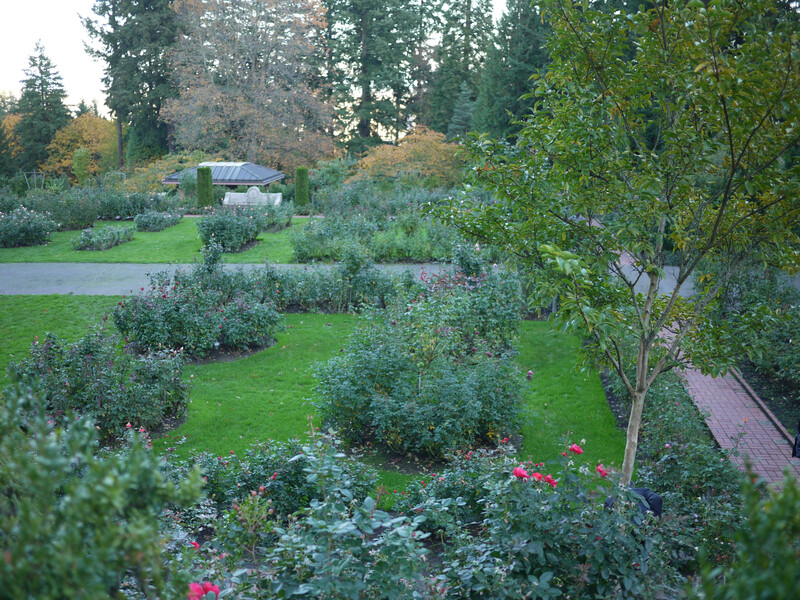 After the Grotto, we went to check out the International Rose Test Garden. It was pretty cold outside so we just took a quick look around and headed for home. 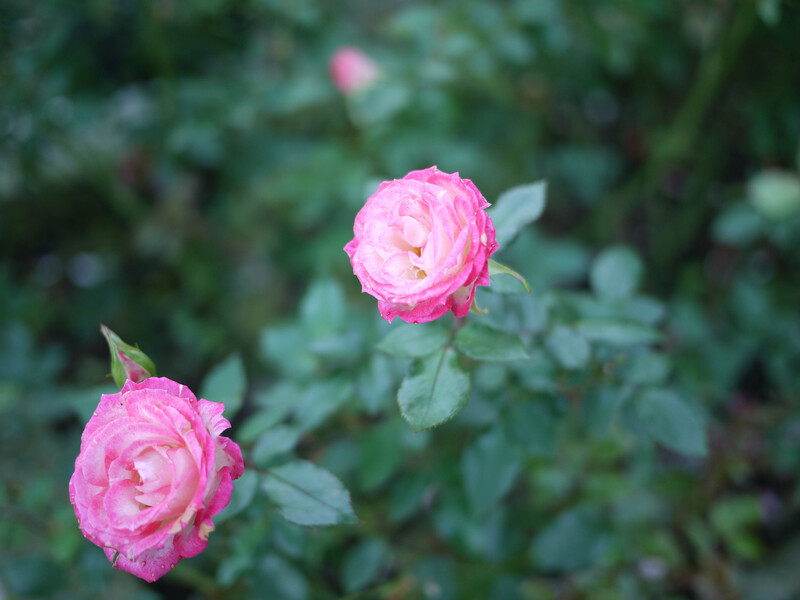 Believe it or not there were still some roses blooming, but I’m sure it’s a much more magnificent site in the summer months. After a pleasant afternoon rest, we went over the bridge to Vancouver, Washington for dinner at a Greek restaurant. I tried to find a Greek place when we were in Astoria but it turned out that all the Greek restaurants Google found were in a section of New York City called Astoria and not in Astoria, Oregon. Bill found a local Greek place and our dinner was really good. Now we’re having a quiet evening at the hotel and I’m getting caught up on this blog. Tomorrow we’ll be going to Toledo, Washington to visit a friend. We’ll be back to visiting with friends for the rest of our trip and I’m really looking forward to it. Being with friends and family has been the best part of this trip! 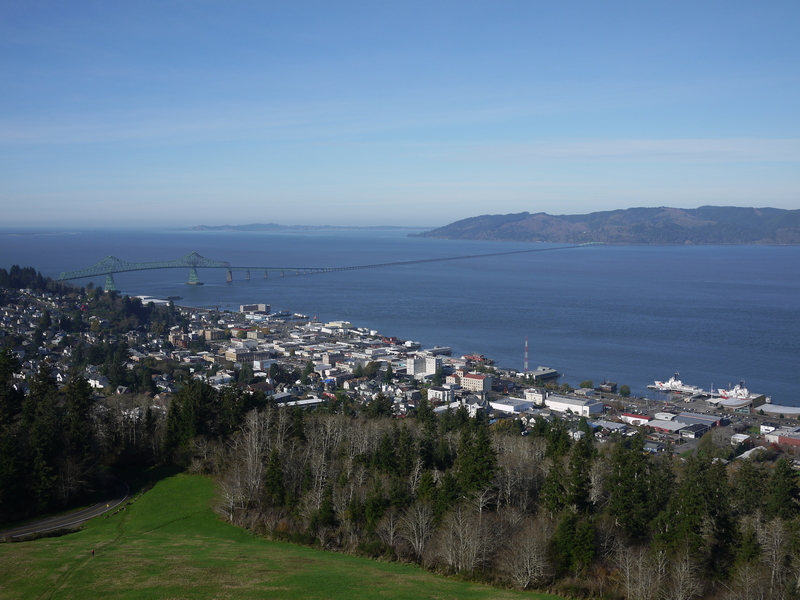 We got up to a sunny Saturday in Astoria. 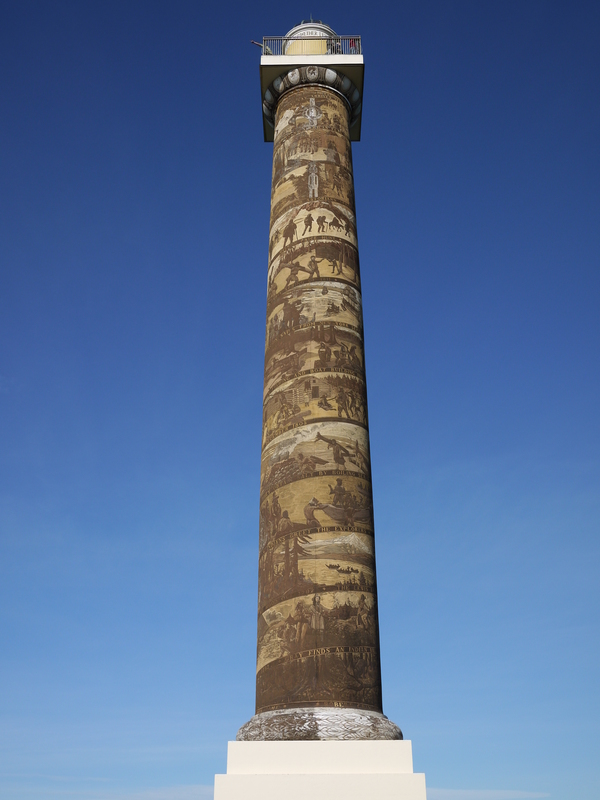 Our first stop was the Astoria Column, a 125 foot tall tower built in 1926 overlooking the mouth of the Columbia River. and got some spectacular views of the surrounding area. 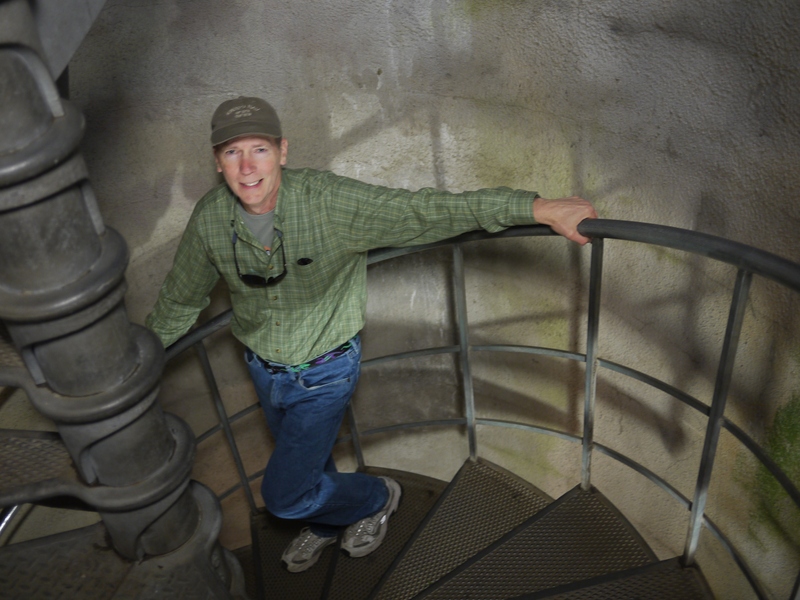 After the descending the column, we went to the Columbia River Maritime Museum. It had lots of interesting information on the Columbia River and the various Coast Guard rescues on the bar. 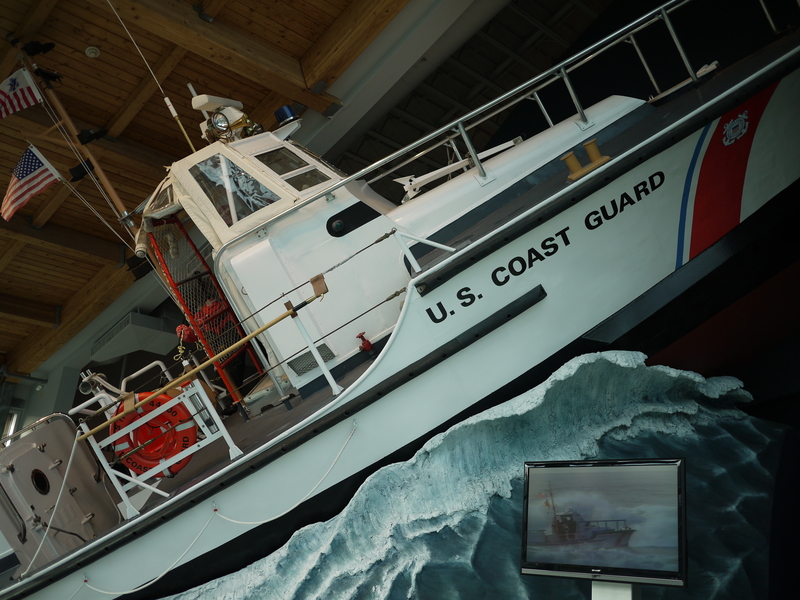 They had an actual rescue boat that was used by the Coast Guard on display. 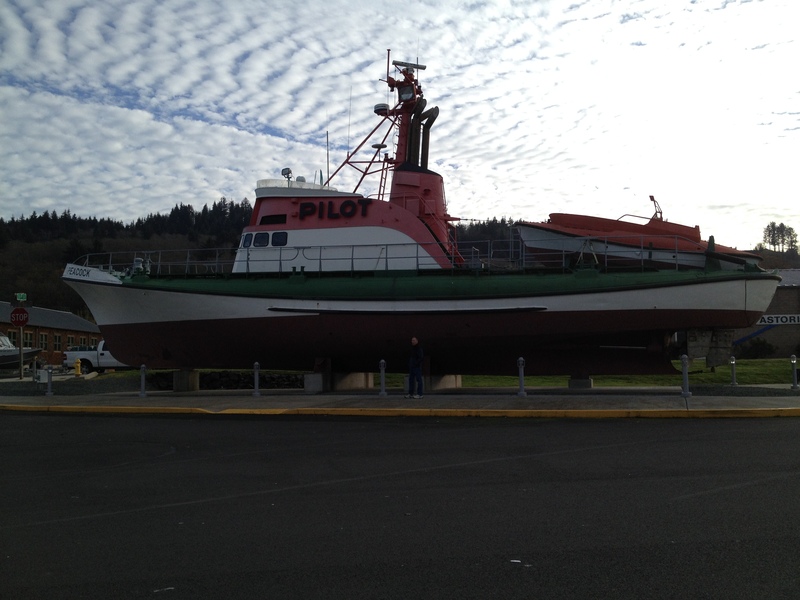 In the parking lot they had one of the retired pilot boats that was used for many years delivering and picking up pilots from all the ships navigating the bar. Can you spot Bill in this picture? The pilot was actually delivered using the little boat sitting on the back deck. The back of the big boat was hinged and folded down so the little boat could slide in and out. Pretty clever. 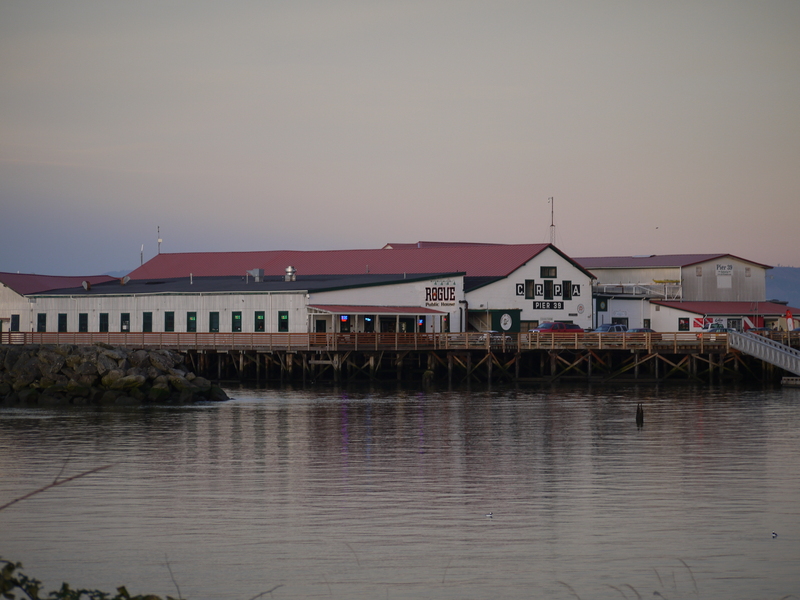 and some old cannery buildings. 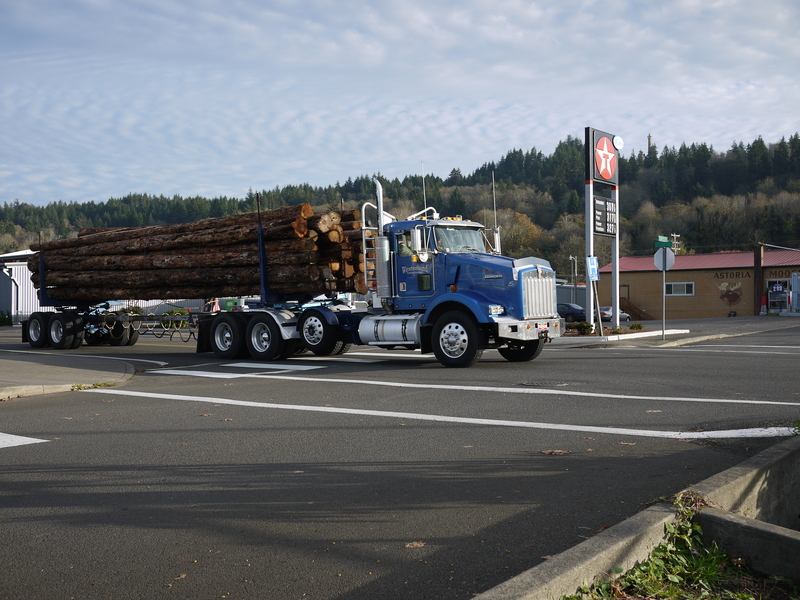 We also saw hundreds of log trucks driving right through the middle of town. 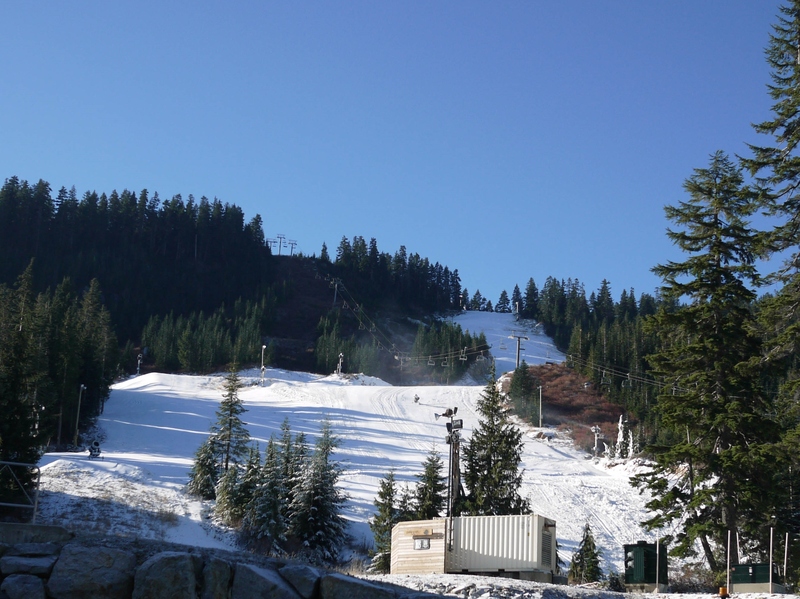 Logging is alive and well in Oregon. Back at the hotel we went out on the docks at the East Mooring Basin. We had heard sea lions barking while walking home from dinner the night before and wanted to investigate. 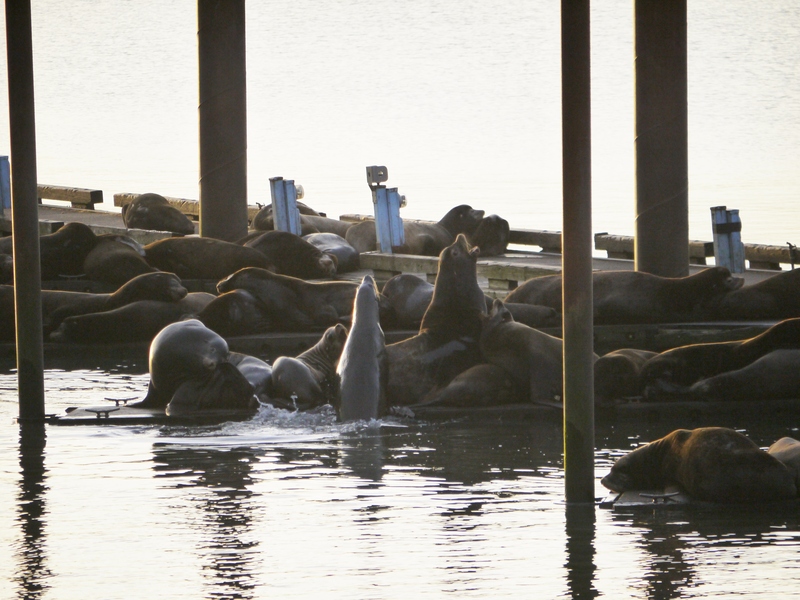 In daylight we could see that the sea lions had completely taken over the docks! What an astounding amount of noise they make. I’m glad our room wasn’t on the water side of the hotel. After sea lion viewing, we headed back to our room to watch the Ohio State football game. Go Bucs! They won in an upset over Michigan State. It was an exciting game. At this point, we needed some dinner. Since it was late, the only place we found open was the Pig ‘N Pancake. We had seen these restaurants in various locations during our trip and giggled about the name, never imagining we’d be eating there. It’s a local Oregon coast chain and we got some dinner. Enough said. Sunday morning was pretty rainy in Astoria, so we packed up and headed to Portland. 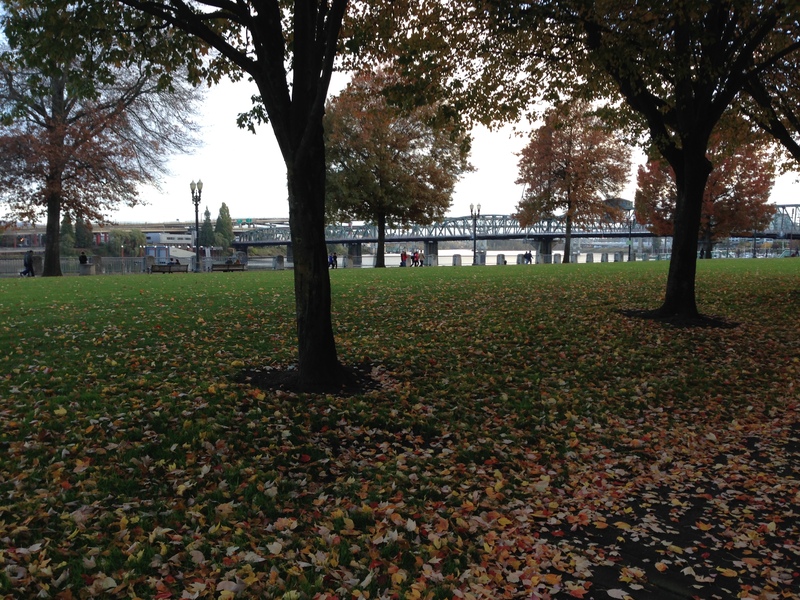 By the time we arrived, the rain had mostly stopped so we went to check out the downtown waterfront park. 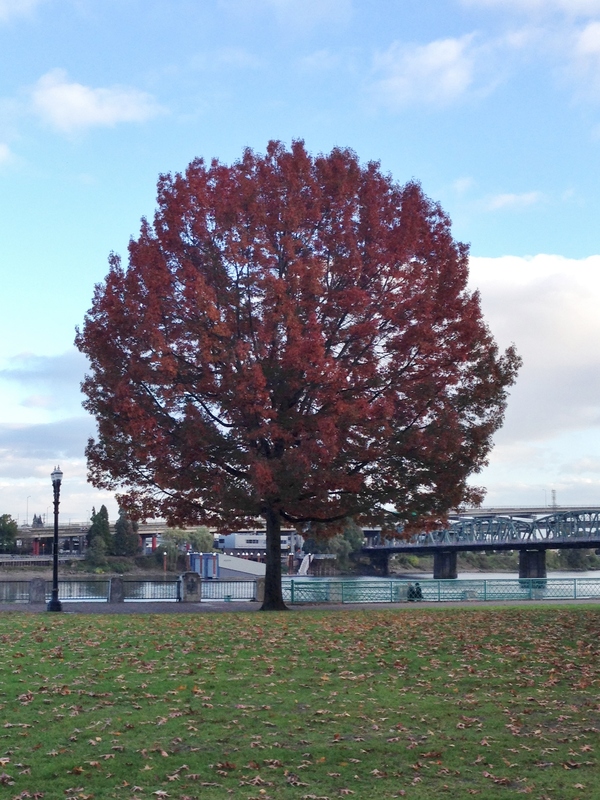 There’s a pathway that goes for about a mile along the Willamette River through downtown Portland and has some great views of the city. 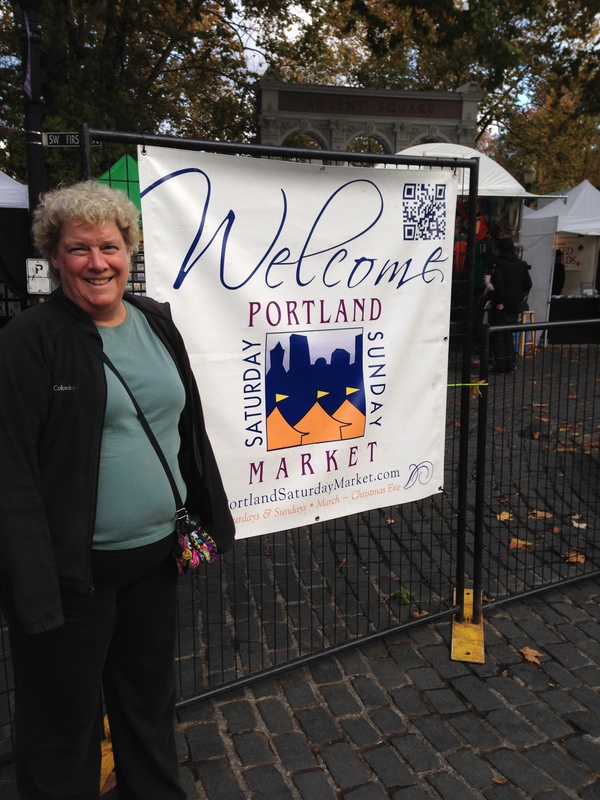 The ‘Saturday/Sunday Market’ was going on in part of the park so we took a quick look. It’s billed as North America’s largest open-air handicraft market. We didn’t buy anything but there was a fun marimba band playing while we were looking around. There was a beautiful tree in the park that caught our eye. I think this qualifies for fall color. After the park we took a look at Powell’s Books, a downtown Portland landmark. It is the largest independent bookstore in the world selling both new and used books. It was overwhelming. After our journey downtown, we headed back to the hotel for a little rest before dinner. When it was time to go eat, neither of us wanted to get back in the car and drive, so we walked to a pizza place down the block. Now it’s time for bed. Tomorrow we’ll continue to check out Portland. 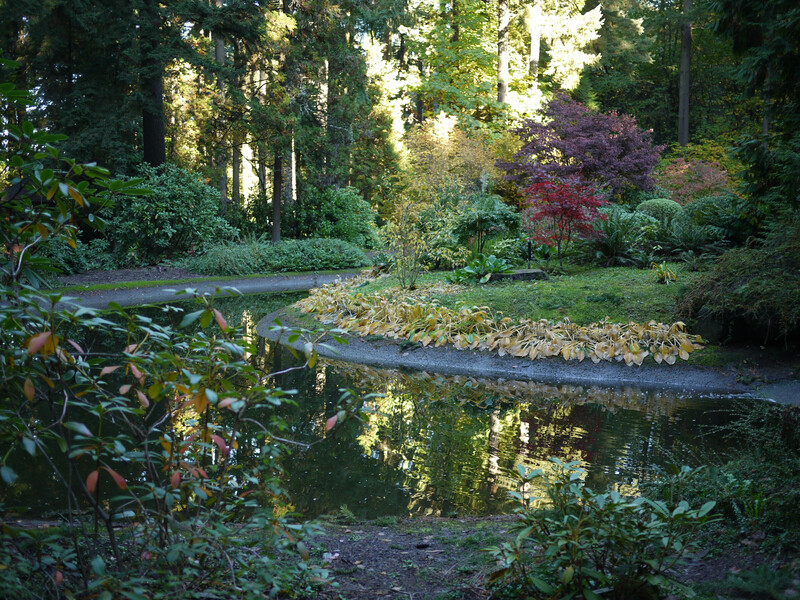 Washington Park with all it’s various gardens and museums along with The Grotto and it’s statues are on the list of things to do.